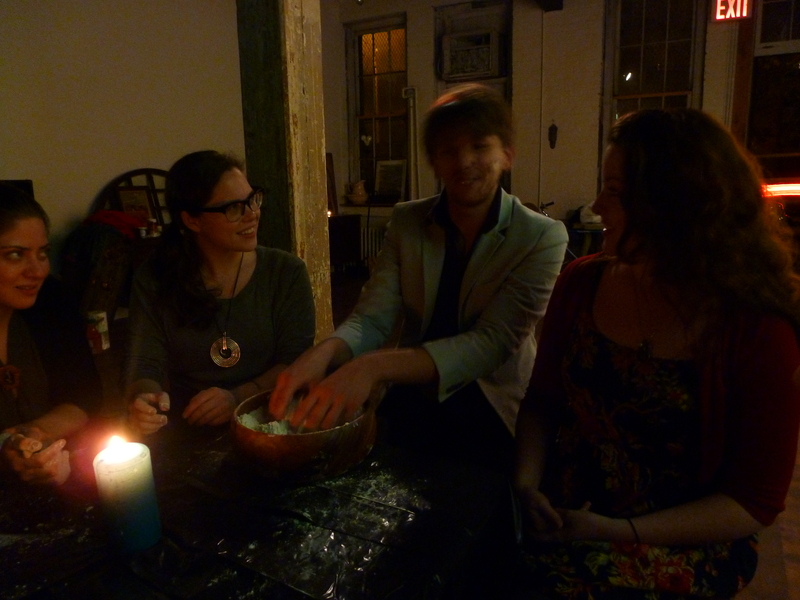 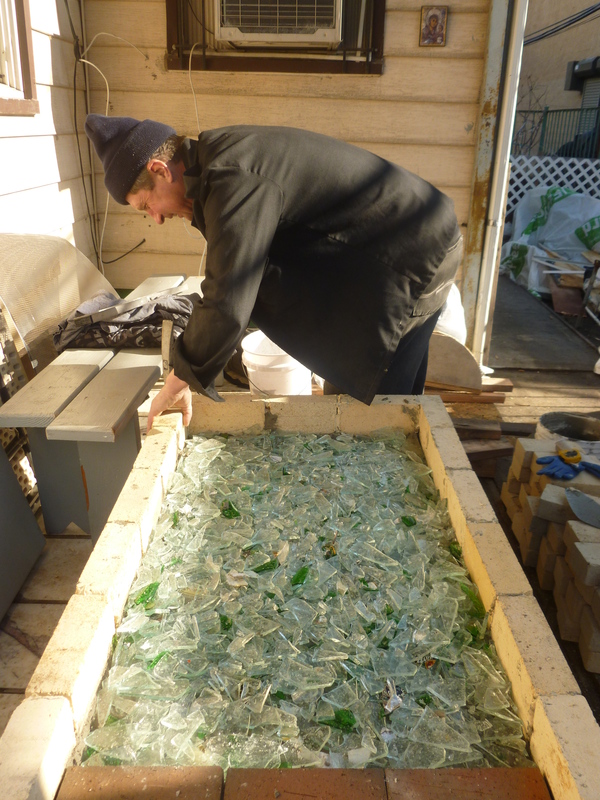 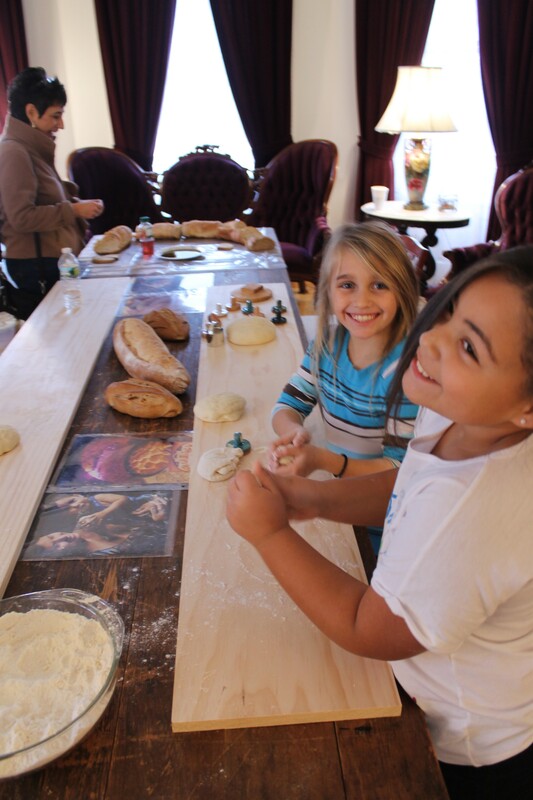 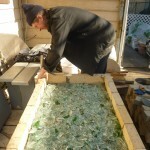 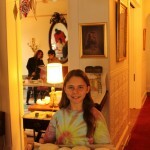 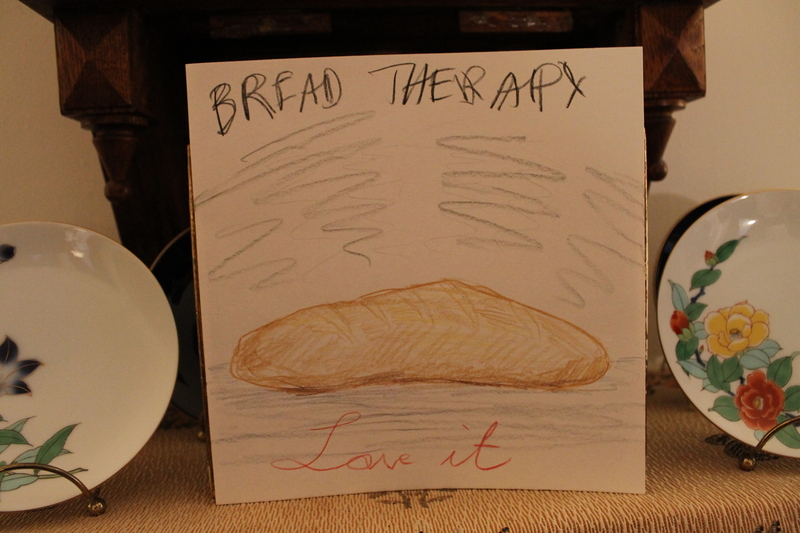 On November 10th, 2012, the Bread Houses Network was invited to participate in the Arts All Day event in Trenton and host a collective bread-making event at perhaps the most unusual place for it: a funeral home! 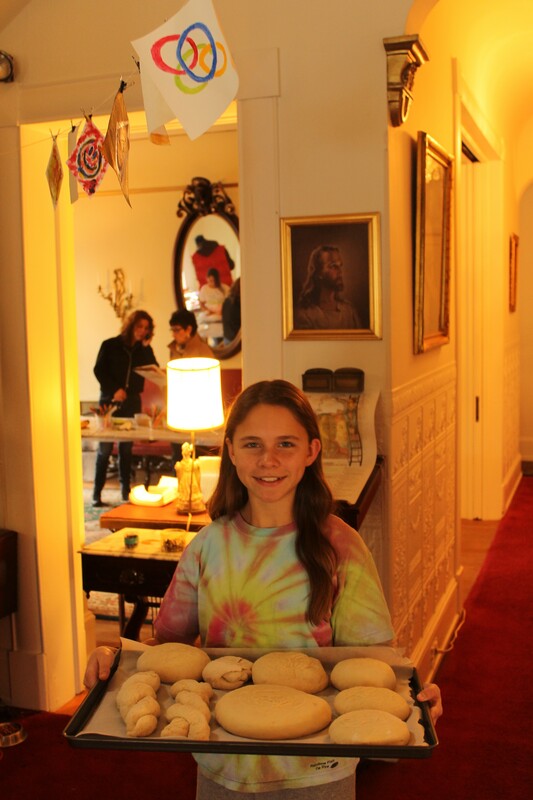 Horan’s Funeral Home had just lost its owner, the father of high-school art teacher Elissa Horan, and Elissa had the vision that instead of a place of death, the beautiful old house could be turned into a place of life by imagining a small cafe inside. 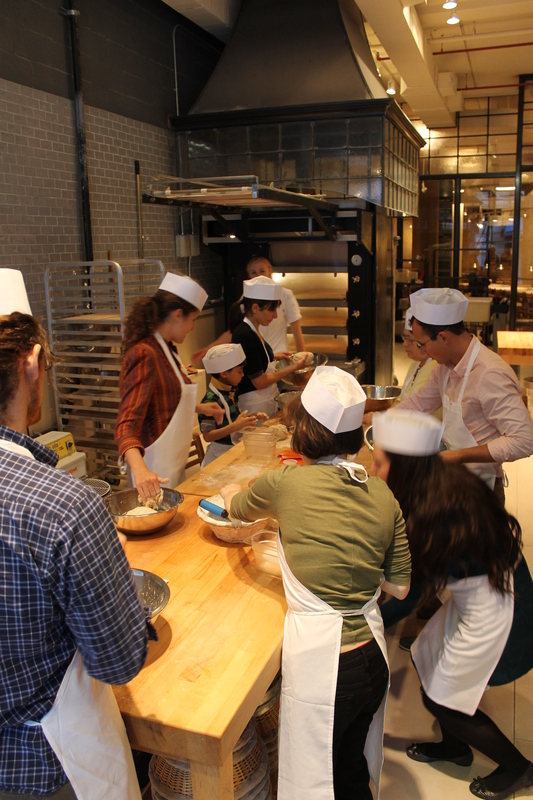 After talking to the Momo Restaurants brothers at Princeton, Elissa was recommended to meet another visionary like her: Nadezhda Savova, BHN’s President. 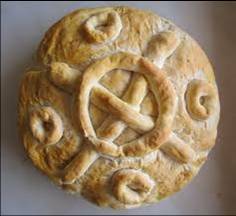 Nadezhda believed in the vision and offered Elissa to add bread to the combination: after all, what a better symbol of “rising from death to life” than the rising of a loaf of bread! 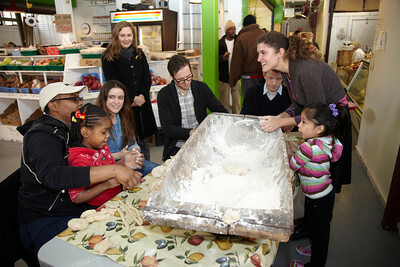 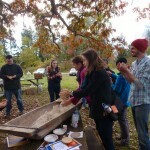 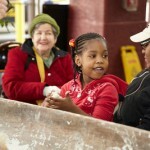 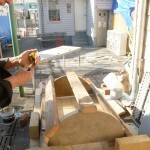 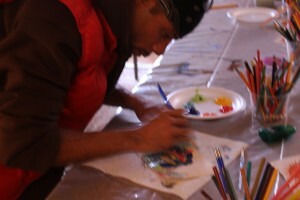 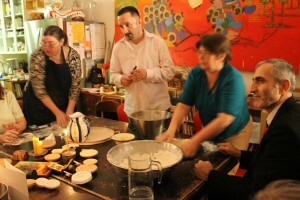 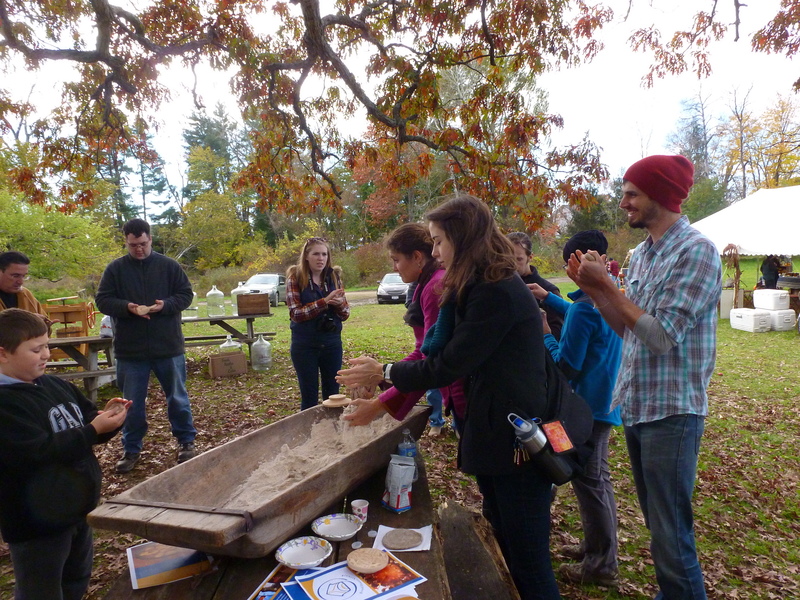 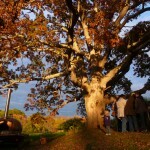 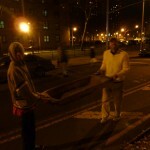 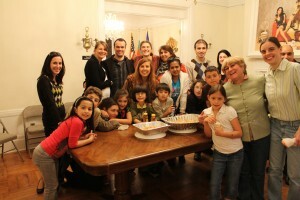 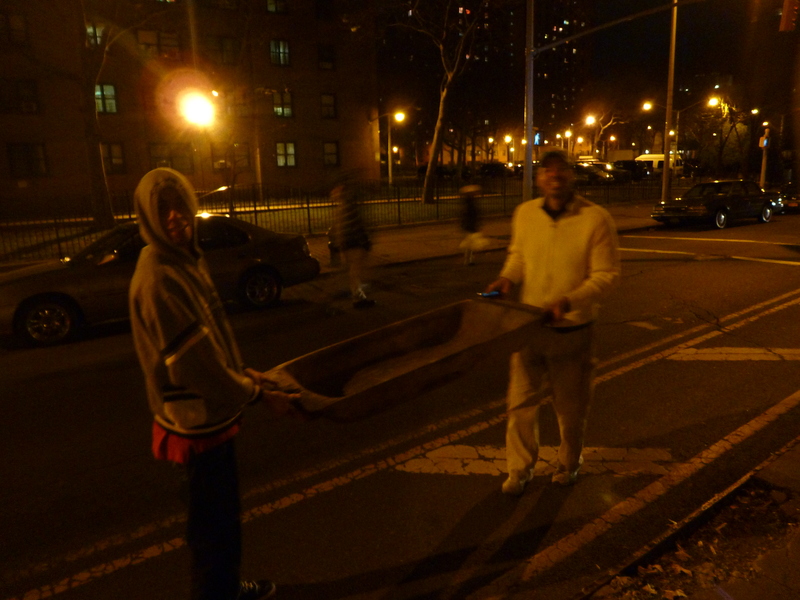 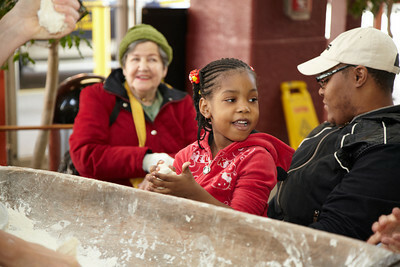 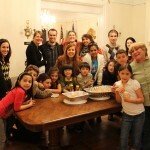 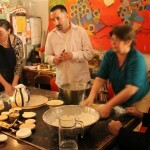 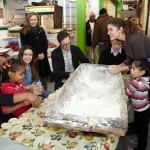 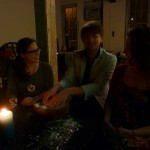 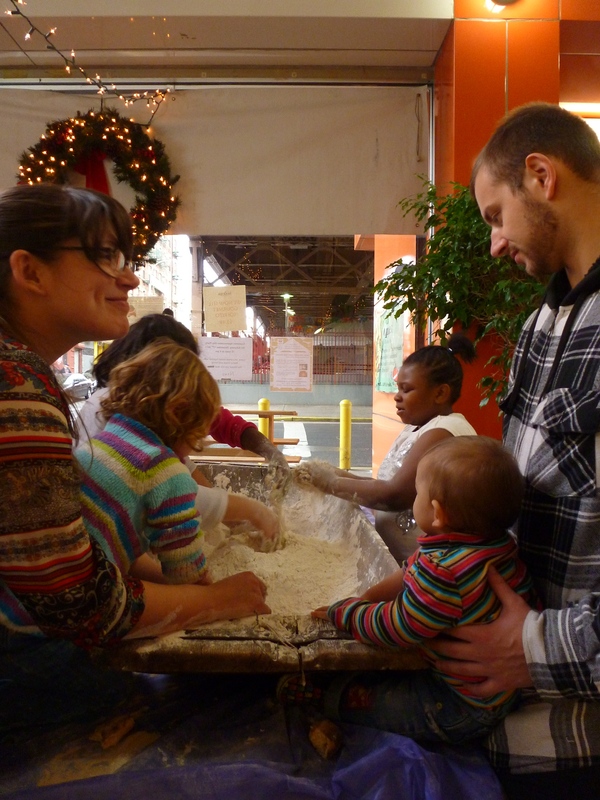 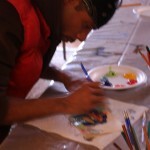 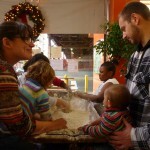 Thus, November 10th was the birthday of the Trenton Bread House Project, and the collective bread-making was welcome by people from across town, from varied socio-economic and ethnic groups, across age and gender, all sharing that they would love to have this as a regular program and would come to make their own bread. 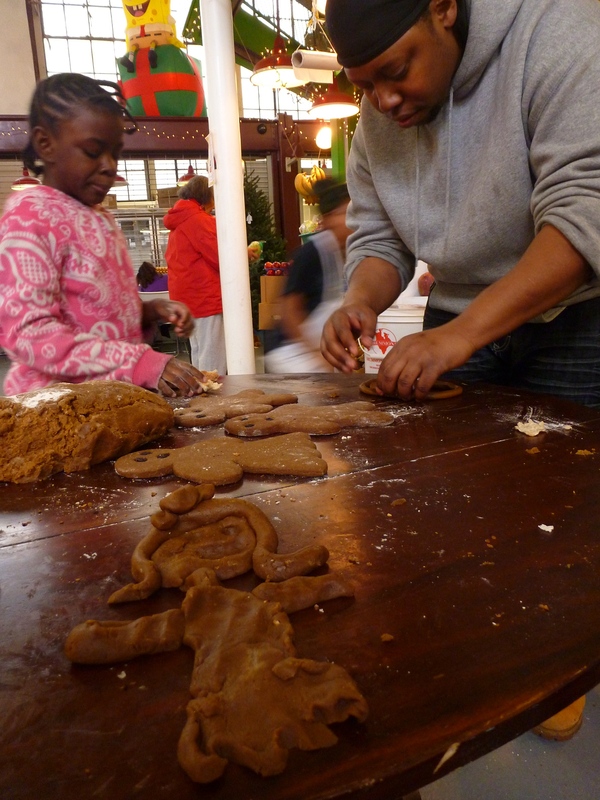 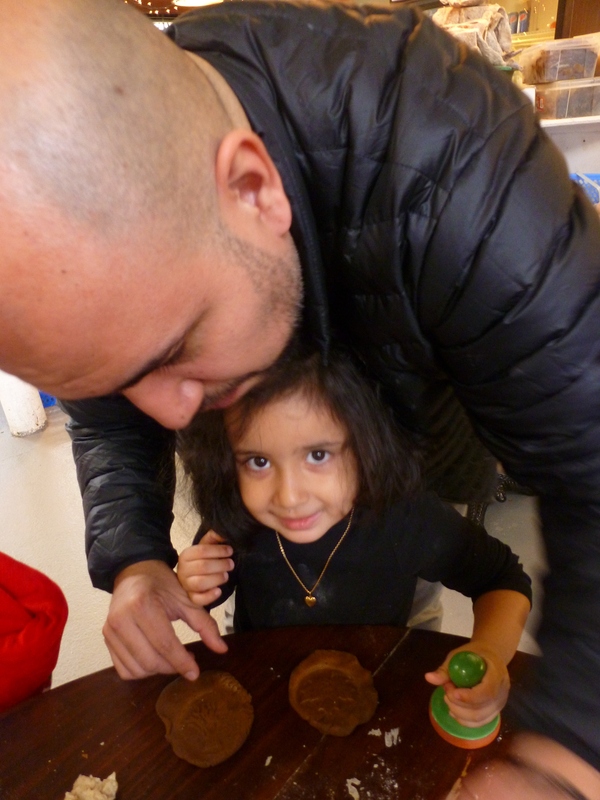 In particular, it was inspiring to see low-income African American men, women, and children share how that was their first time baking and that they would consider more and more making their own food. 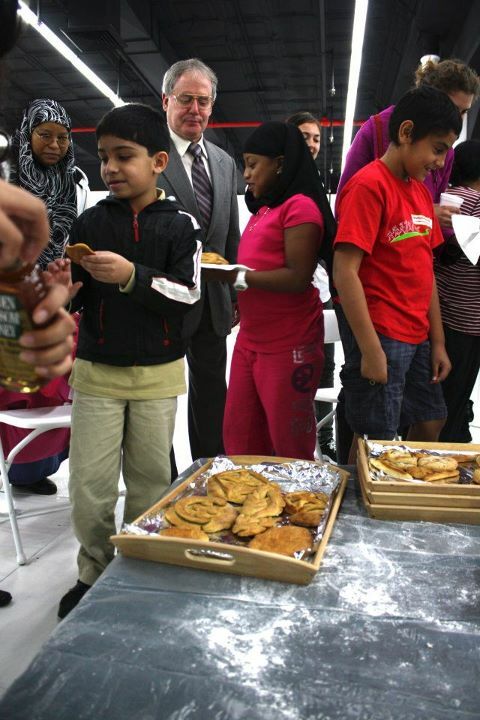 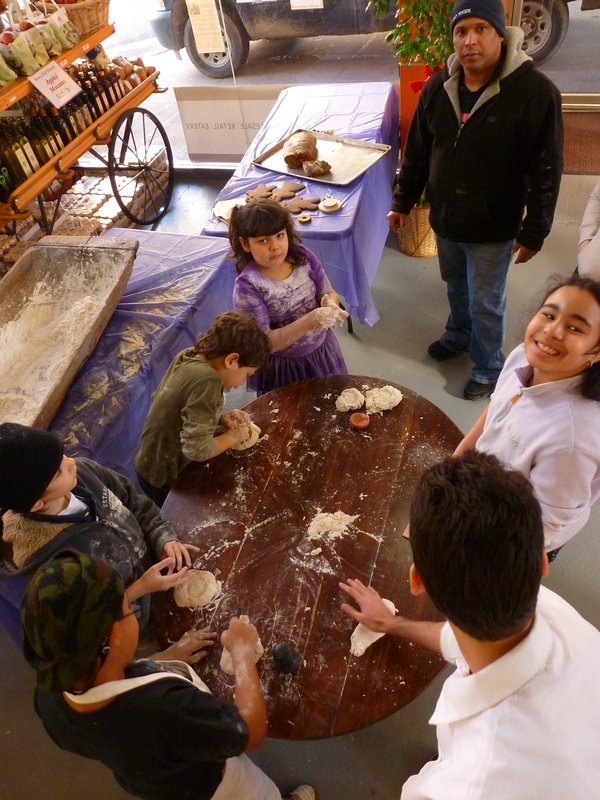 It is in the context of the exorbitant rates of obesity and diabetes in Trenton that the Bread House there is planned as mainly focused on nutritional and integral health education for all ages, done through bread-making and varied applied arts workshops organized by Elissa. 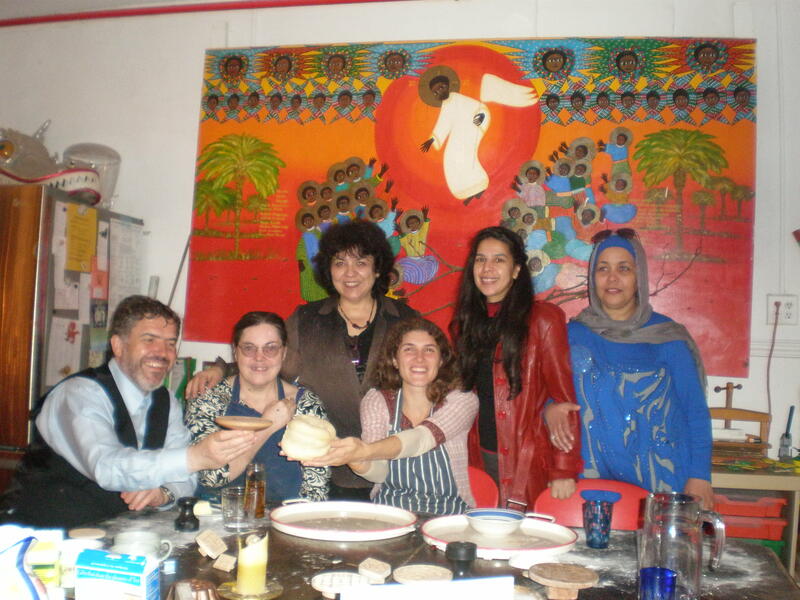 Nadezhda and Elissa are currently working on developing the plan for the social enterprise Bread House and seeking grants to apply to. 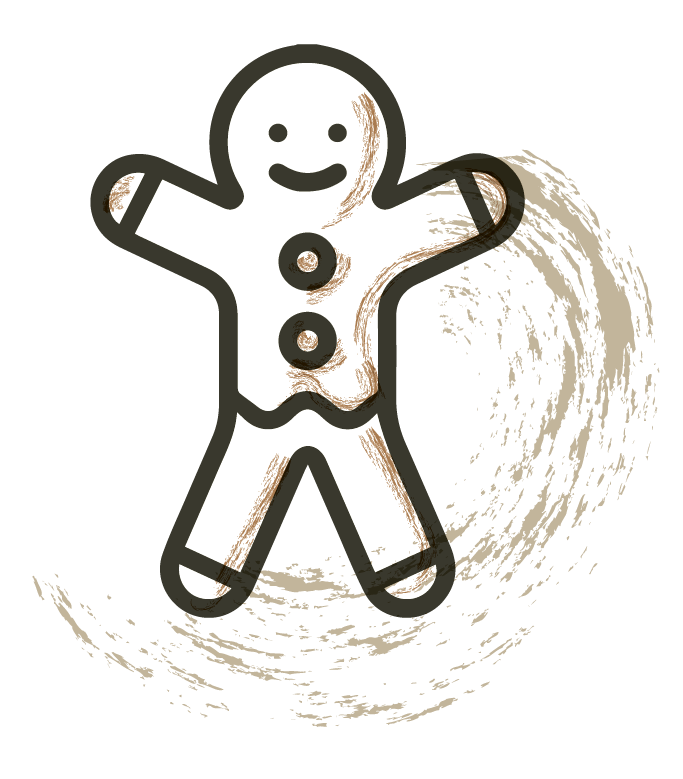 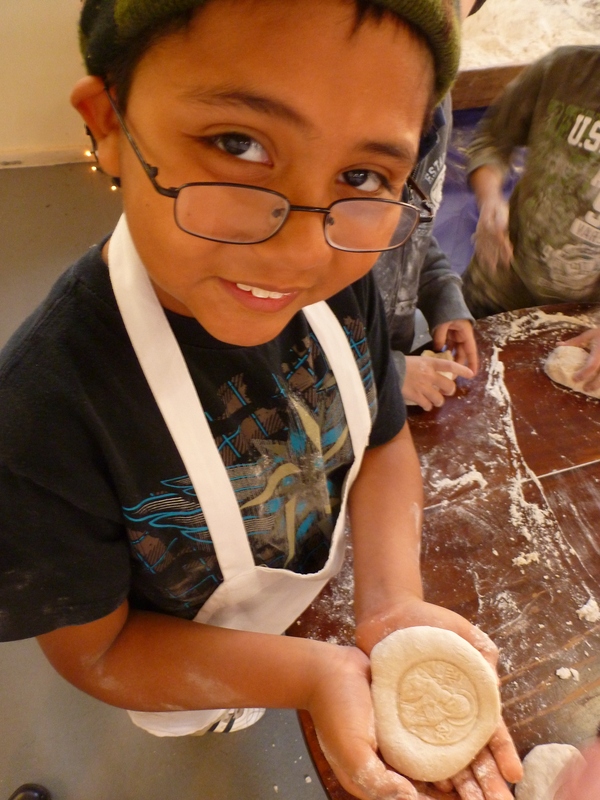 Please support our mission in Trenton through our DOUGH-Nate link, where you can directly get tax-exempt status for your donation! 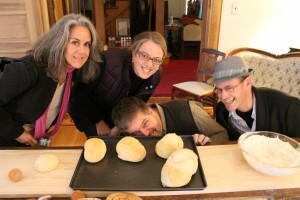 The BREAD Movement has been recognized by the European Social Innovation Network, which is building and streamlining the social innovation field in Europe. 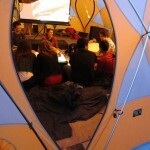 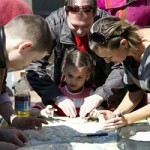 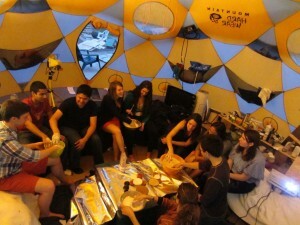 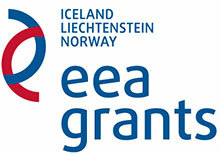 By 2014, Social Innovation Europe will be the meeting place for social innovators across Europe. 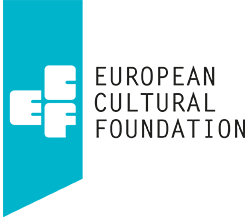 Funded by the European Commission, DG Enterprise, the initiative will be run by a group of partners that are being led by the Social Innovation eXhange (SIX) at the Young Foundation. 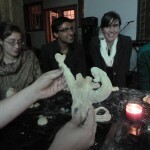 Social Innovation Europe aims to do just that—bring social innovators together from across countries and sectors to streamline the process of innovation, and propel Europe to lead the practice of social innovation, globally. 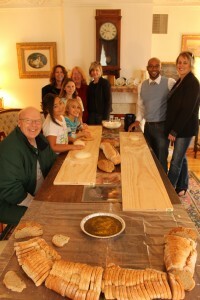 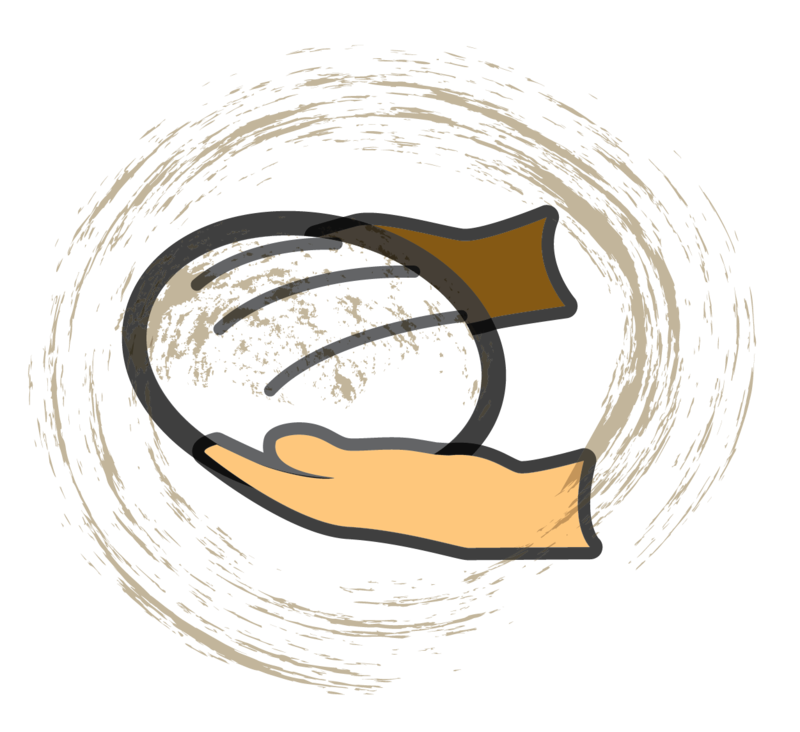 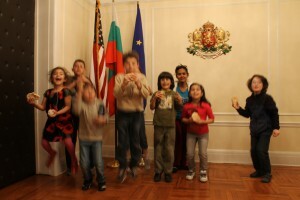 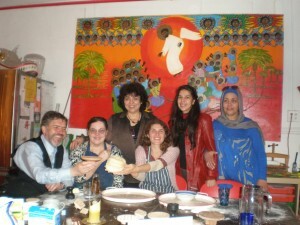 The Bread Houses Network is since July 2012 until July 2014 grantee of Charles Stewart Mott Foundation with the program “Strengthening the Bread Houses Network in Bulgaria”. 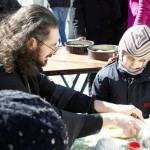 The goal is to strengthen the participation of marginalized groups and individuals in their communities throughout Bulgaria. 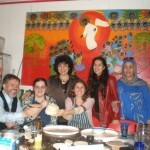 To this end, the Bread Houses Network in Bulgaria will focus its work in 5 cities to increase the capacity of the local bread house coordinators to implement projects and engage marginalized groups, mainly people with various disabilities, orphans, and long-term unemployed, and explore the effects of “bread therapy” and the possibilities of turning bread houses into successful social enterprises. 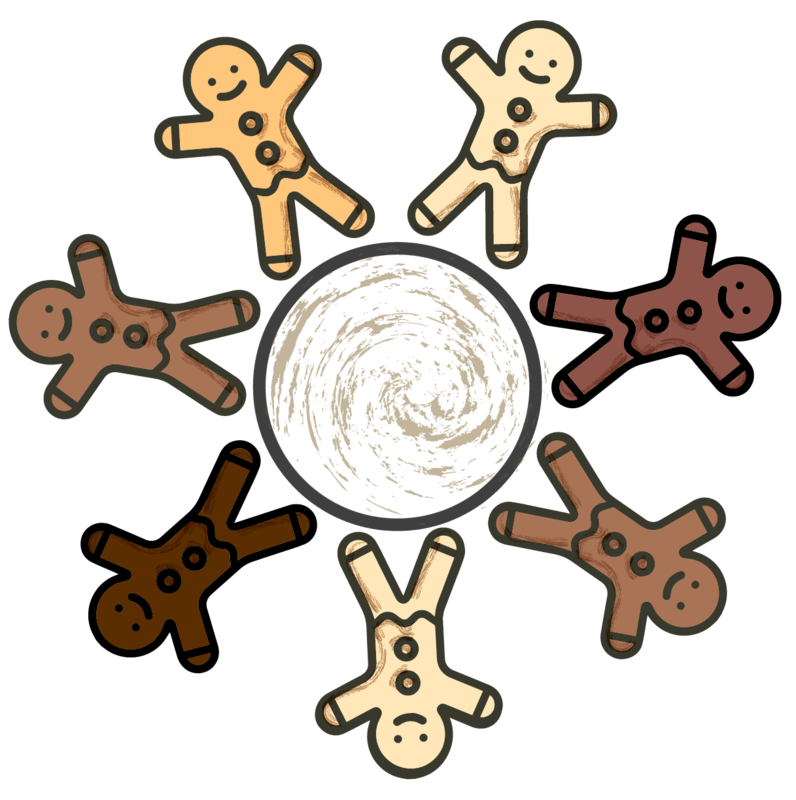 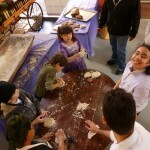 The Bread Houses are community centers that host bread baking and various other activities for groups of people of very diverse backgrounds, thus encouraging relationships across ethnic and religious origins and social status. 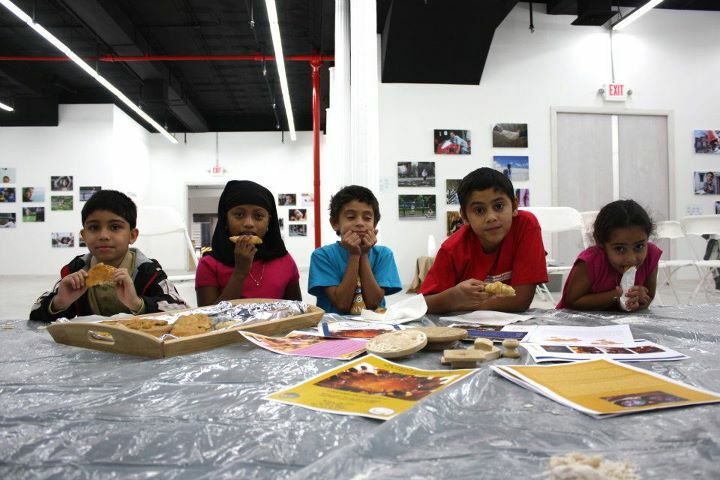 The model has been successful in increasing the social capital in communities and strengthening civic spirit as well as increasing the skills, self-esteem, and employability of the participating individuals. 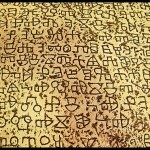 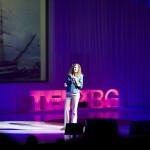 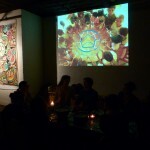 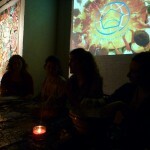 Nadezhda Savova was selected together with a few other artists, scholars, and activists from around the world to present artistic projects addressing ecological issues at the UN Global Ecological Summit RIO 20+, Rio de Janeiro, June 20-22, 2012. 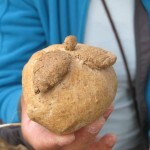 The exhibit “Breads of the World” will be presented along with Nadezhda’s hands-on collective bread-making workshops and lectures employing Ecopedagogy methods, presenting the International Handbook on EcoPedagogy developed in cooperation with the Bulgarian Center for Sustainable Local Development and EcoPedagogy (www.bcslde.org). 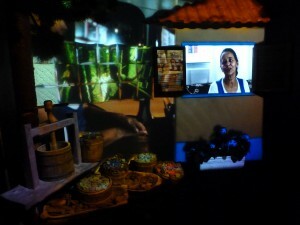 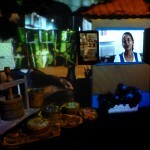 There are two photo exhibits representing the Bread Houses Network, one at Armazem 4 (Warehouse 4) at Praca Maua (Maua Port) and the other by the Flamengo Beach/Aterro do Flamengo as part of the Cúpula dos Povos (Dome of Nations) (www.cupuladospovos.org.br; www.rio20.gov.br) alongside the Park of the Burnt Trees ( Parque das Árvores Queimadas). 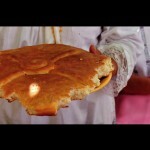 Nadezhda Savova, da Breadhouses Network, ONG que ensina crianças a fazerem pão. 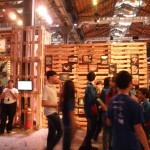 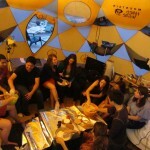 ‘A Rio+20 é um evento muito grande e pode assustar as pessoas. 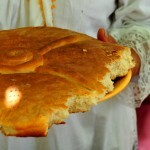 Vim para mostrar que o passo para uma vida sustentável é muito fácil, como fazer pão juntos’, diz a búlgara nascida em Gabrovo, cidade do pai de Dilma Rousseff. 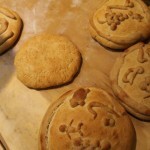 A cena de Jesus Cristo dividindo o pão com seus apóstolos ficou na história como um símbolo de solidariedade. 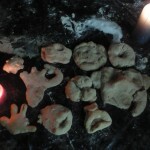 Mas tem gente que consegue enxergar no alimento mais do que isso. 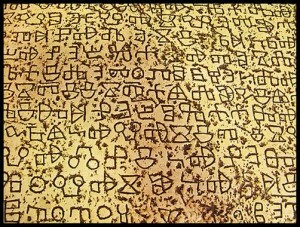 A antropóloga da Universidade de Princeton, nos Estados Unidos, Nadezhda Savova, por exemplo, transformou-o em questão social e até terapêutica. 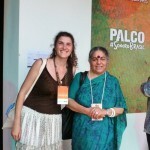 Ela criou um projeto que é utilizado de diferentes formas por 12 países. 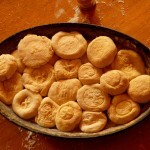 Basicamente, consiste em fazer pão em grupo. “O projeto começou com minha pesquisa sobre tradições de comida do mundo, sobretudo o pão. 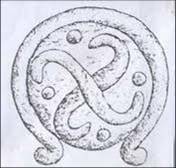 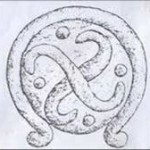 Eu queria saber como preservar as tradições e a importância delas. 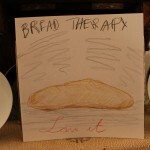 Me dei conta que fazer o pão era uma oportunidade onde várias pessoas poderiam se juntar. 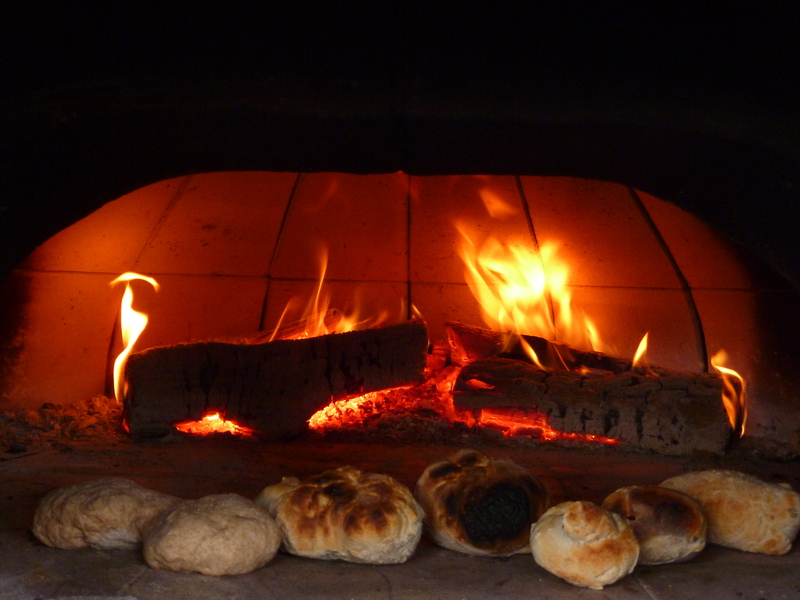 Comecei na pequena cidade de Gabrova, na Bulgária, na minha própria casa. 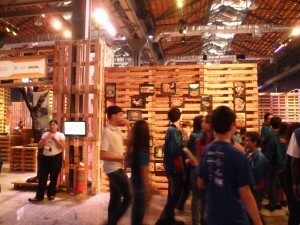 Passei a ter 40, 50 pessoas por noite, muitos com deficiência física e mental, ricos, pobres e pessoas de rua”, conta Savova. 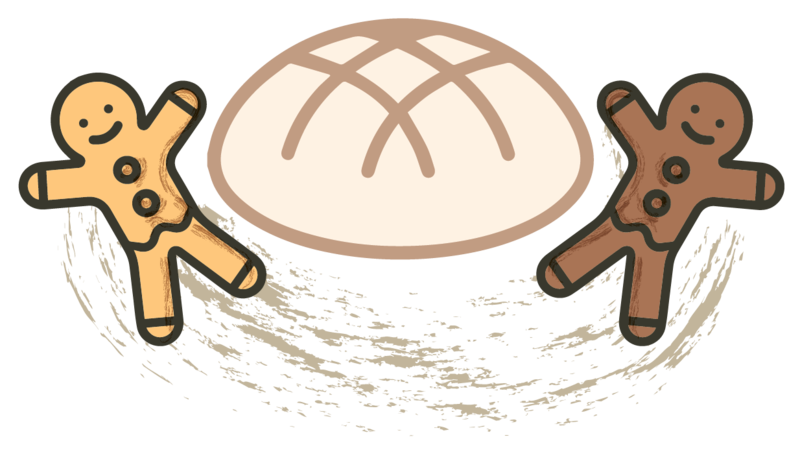 Dividir o pão é um sinal de solidariedade, aprender a fazê-lo em meio a um grupo de amigos é uma forma de inclusão e, a antropóloga descobriu depois, de terapia. 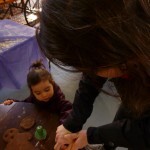 “É um modelo muito bom porque une as pessoas e faz elas se sentirem em casa. 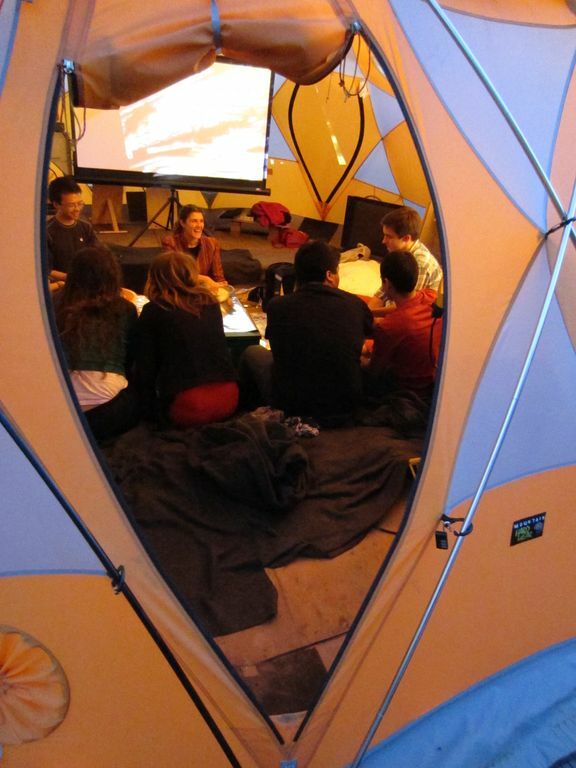 Viajei pelo mundo e a partir dessa iniciativa se desenvolveram muitos outros programas sociais”, explica Savova. “Na Rússia e no Peru, temos o programa em hospitais. 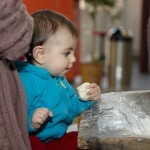 Os médicos fazem o pão junto com os pacientes e muda totalmente a relação entre eles, além de fazer o paciente se sentir melhor no ambiente de um hospital. É muito terapêutico, chamamos de pãoterapia”. 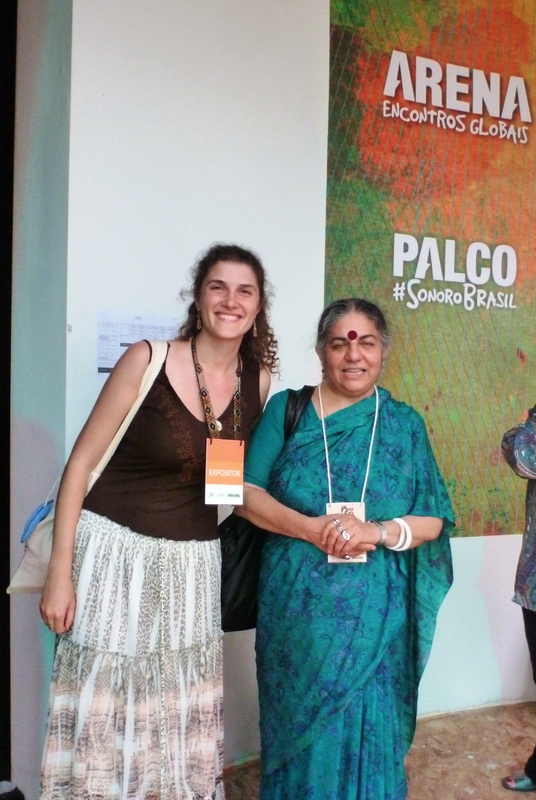 Savova conta que chegou até a trabalhar com Patch Adams, o exemplar fundador da terapia do riso que chegou a ser tema de um filme de Hollywood. 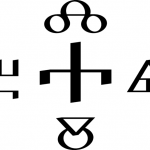 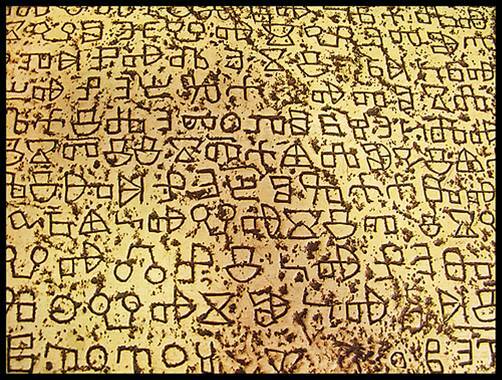 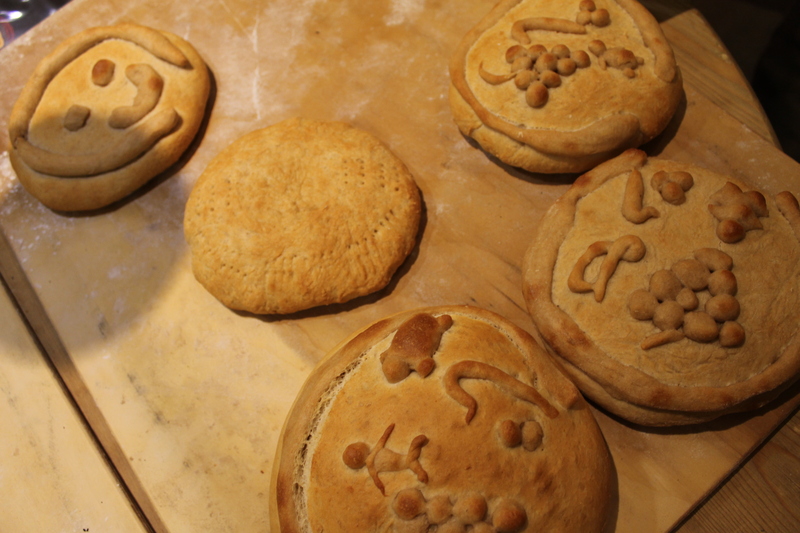 The exhibit will include hands-on demonstration of Bulgarian ritual bread designs as guests can join in the decoration and will all partake of the freshly-baked hot bread at the end of the exhibition and lecture. 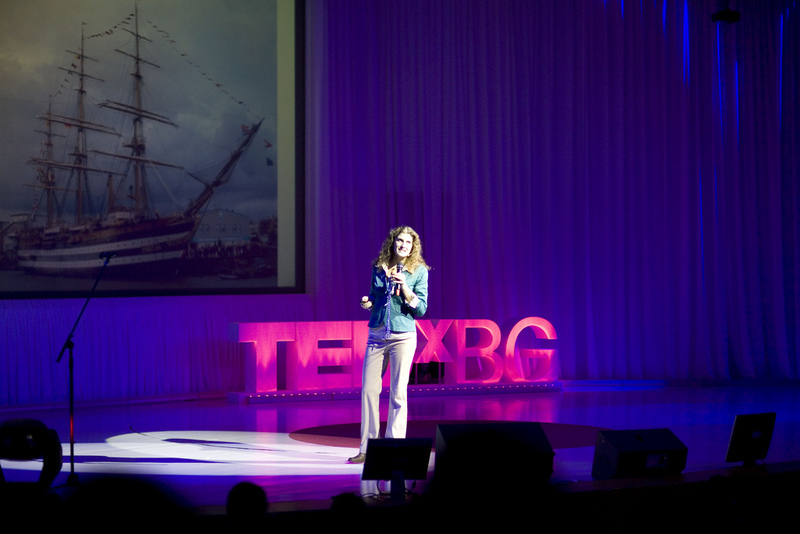 For the occasion of the Bulgarian national holiday of the Slavic Enlighteners, St. Cyril and Methodius, fathers of the Glagolithic and later Cyrillic alphabets, Nadezhda Savova, visual anthropologist from Princeton University, is presenting with an accompanying lecture an exhibit of her professional photographs taken during research, work, and travels in various countries with focus on Bulgaria, exploring the sacred designs in the ritual bread decorations and how Glagolithic alphabetic symbols can still be traced in Bulgarian bread as Bulgaria has preserved perhaps the richest traditions of bread decorations in the world. 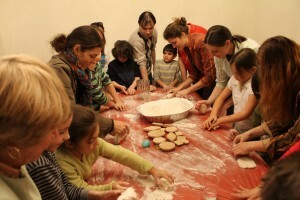 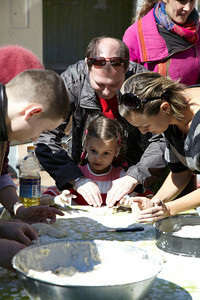 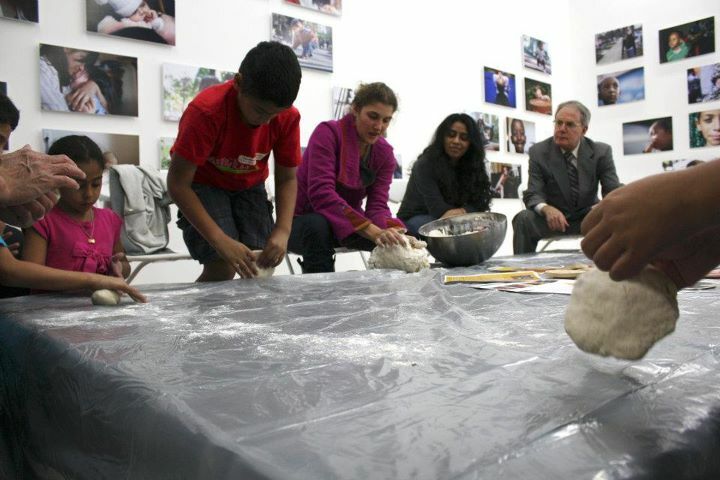 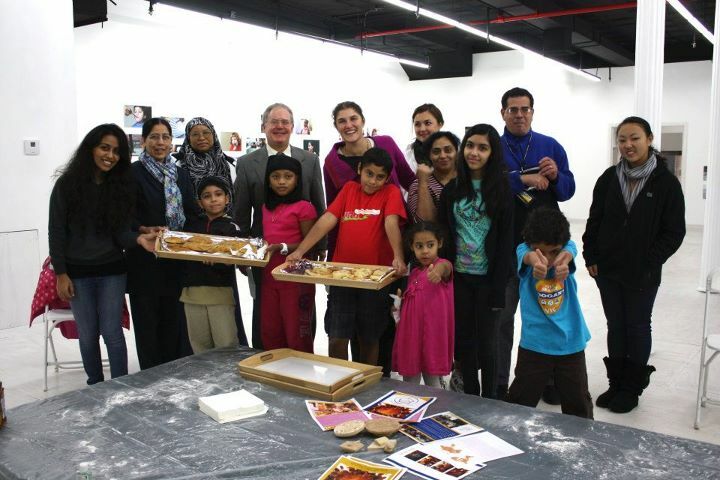 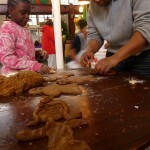 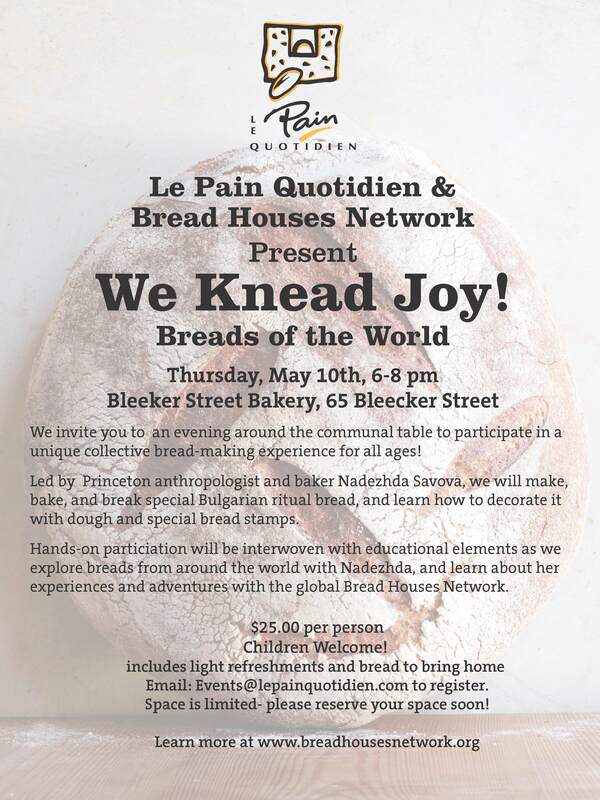 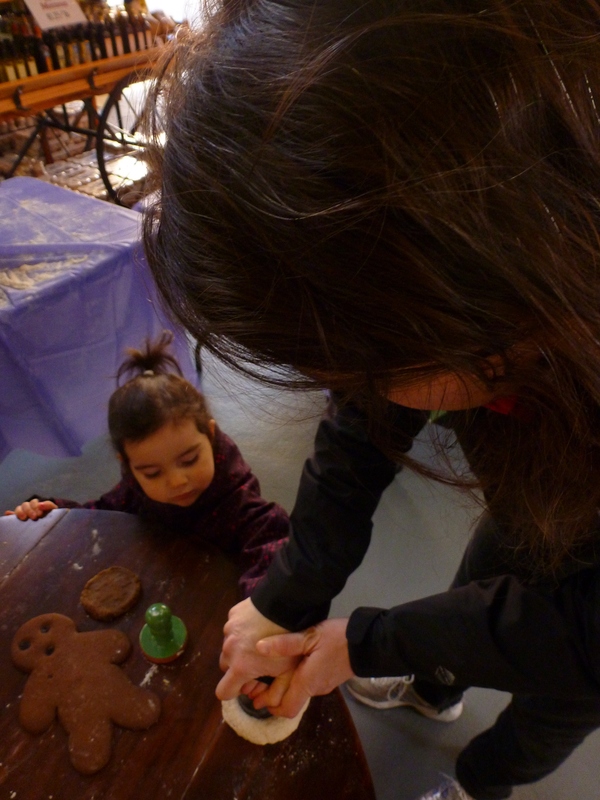 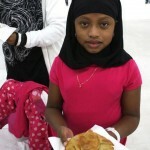 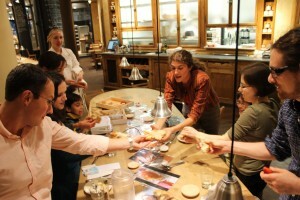 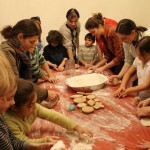 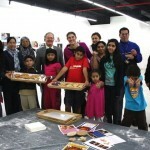 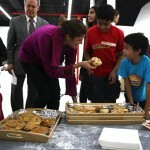 The exhibit will also trace breads across five continents where Nadezhda has started programs to nurture social integration and community-building by organizing various people to come to make, bake, and break bread together weaving the Bread Houses Network (www.breadhousesnetwork.org). 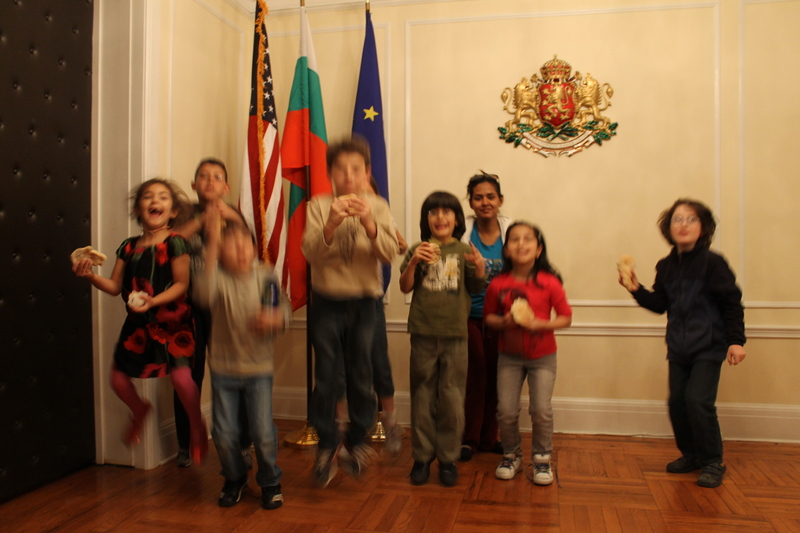 For more information and to RSVP, please contact Nadezhda at nsavova@princeton.edu. 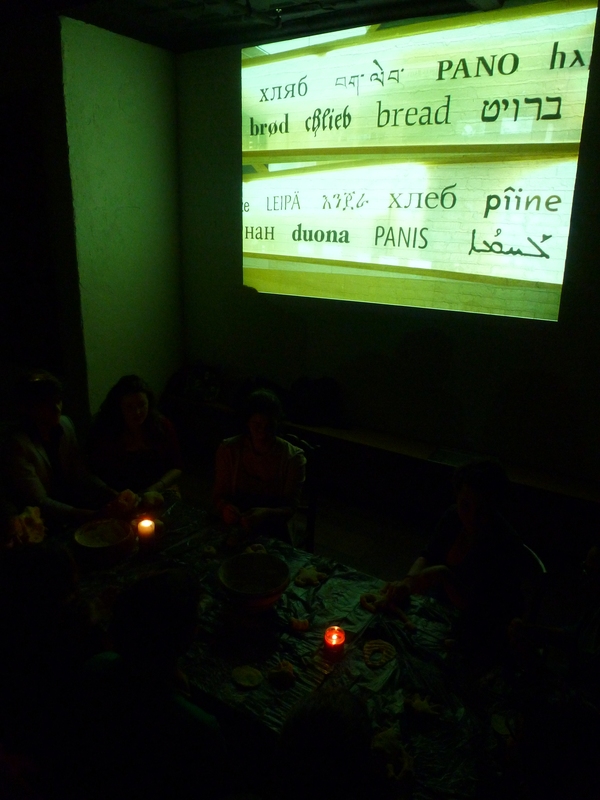 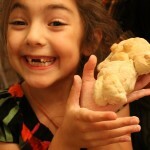 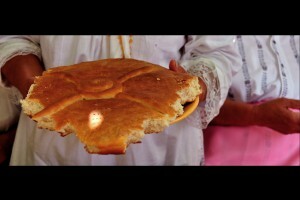 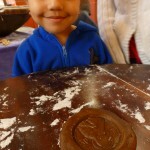 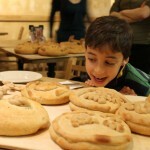 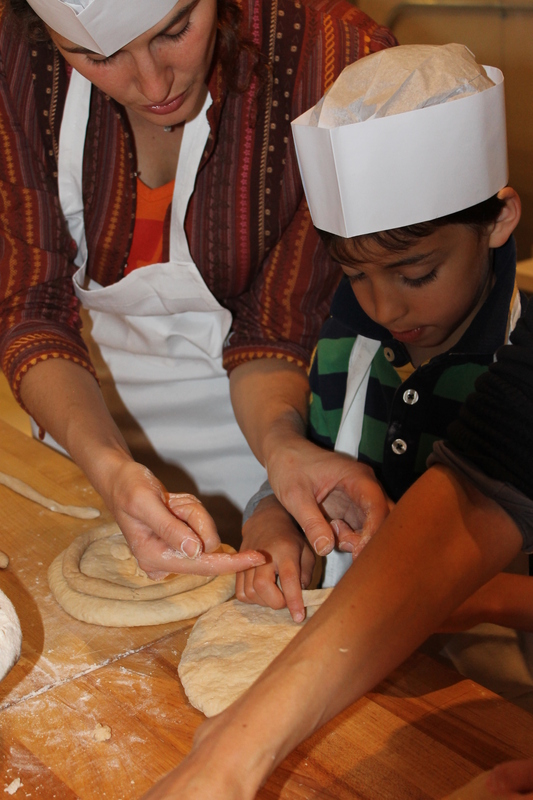 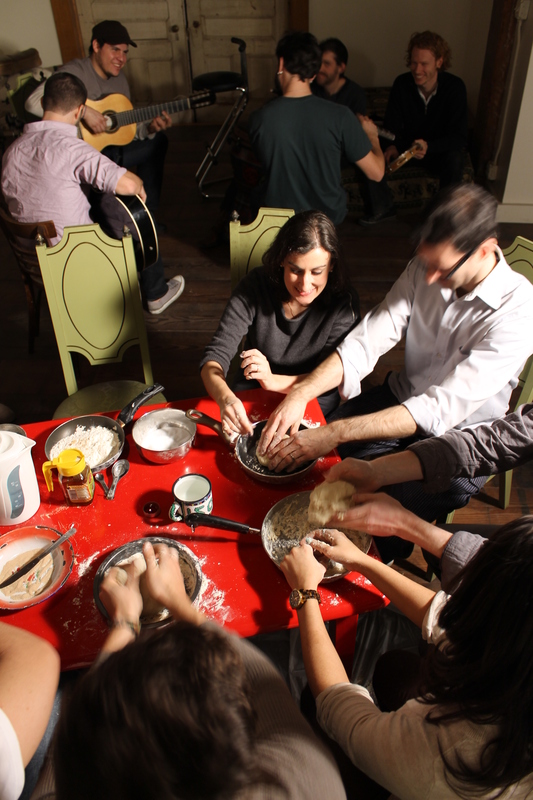 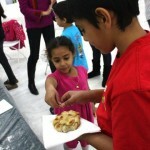 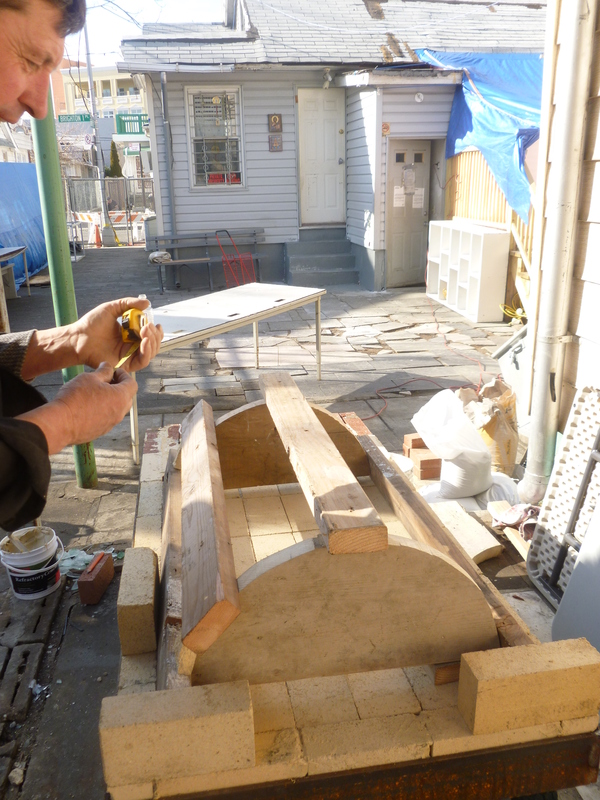 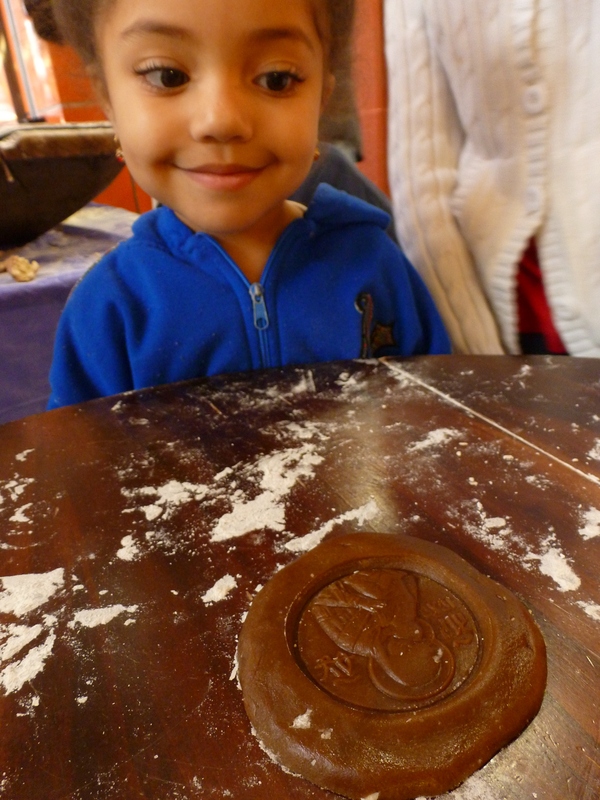 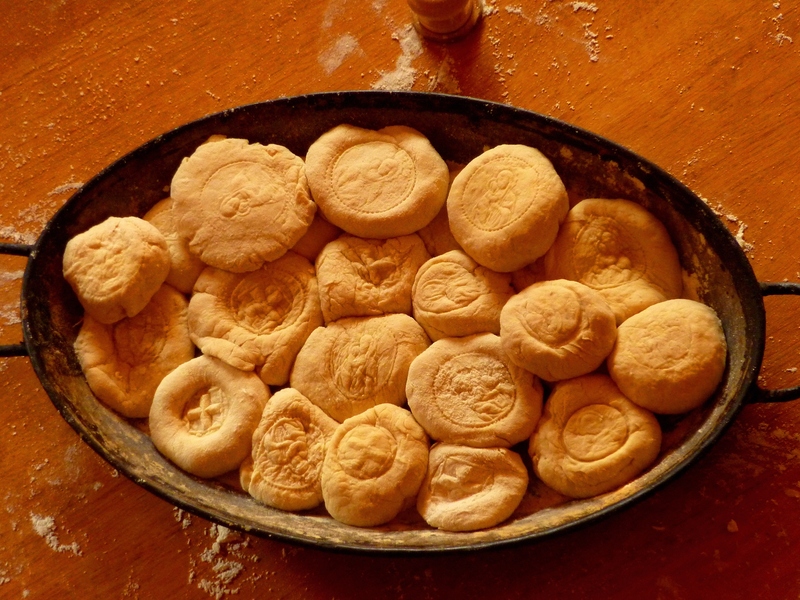 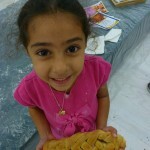 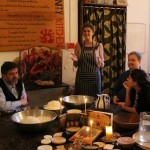 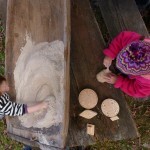 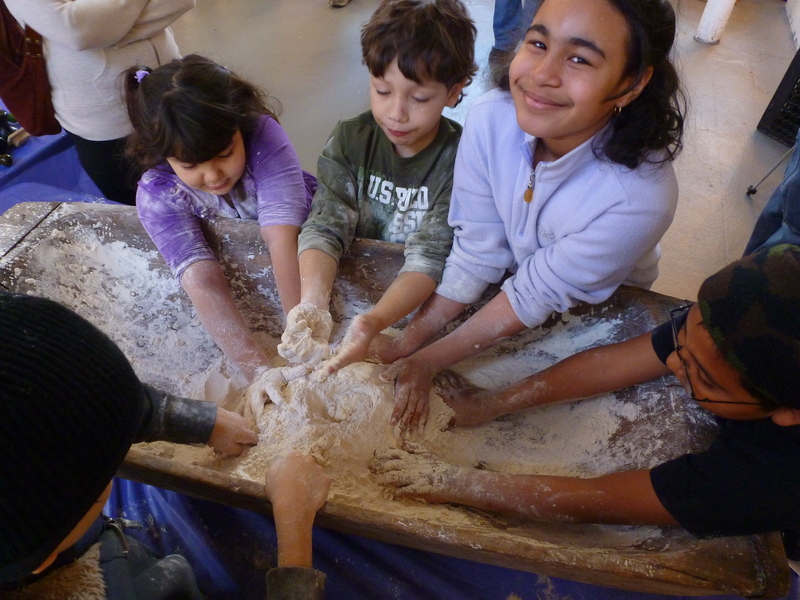 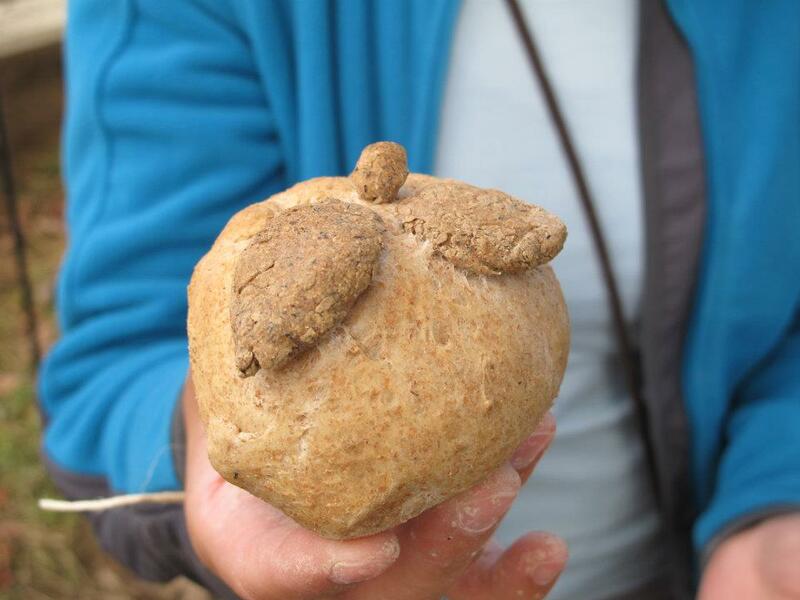 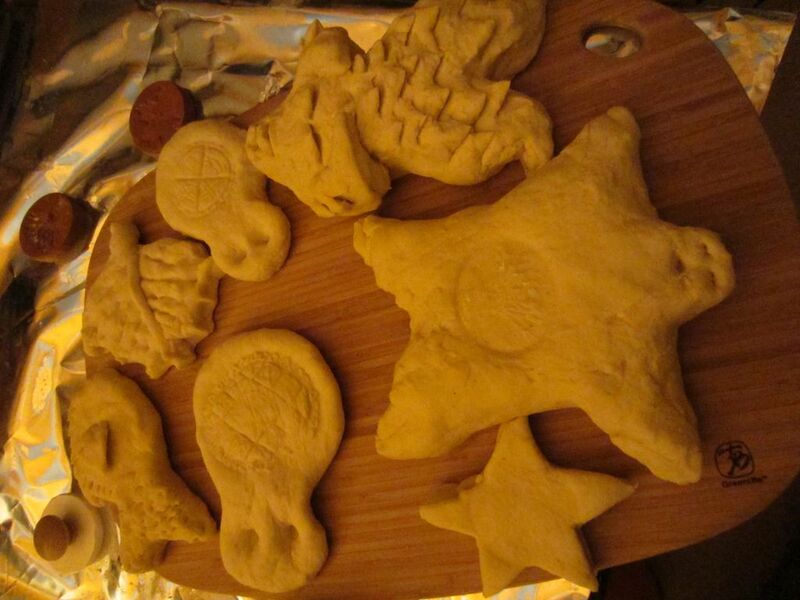 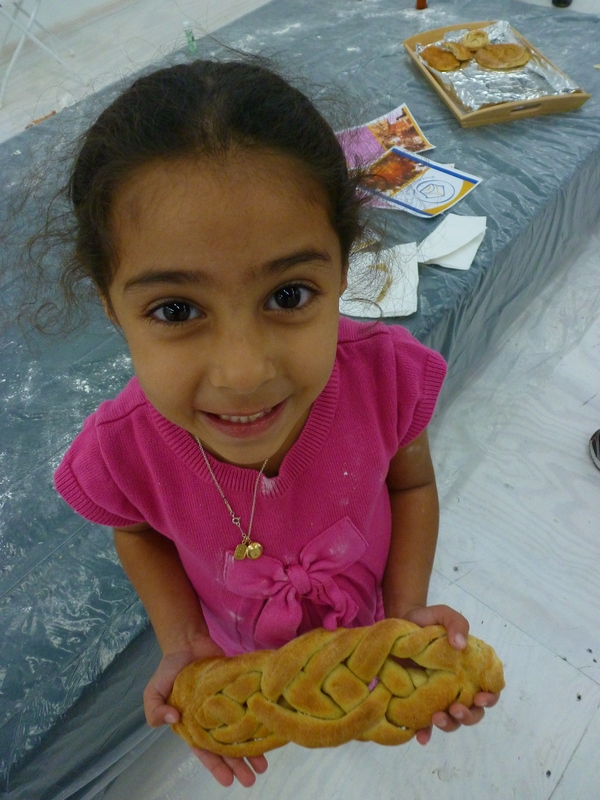 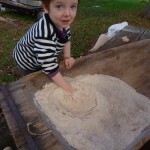 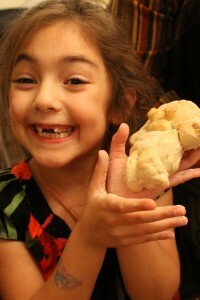 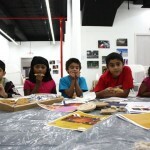 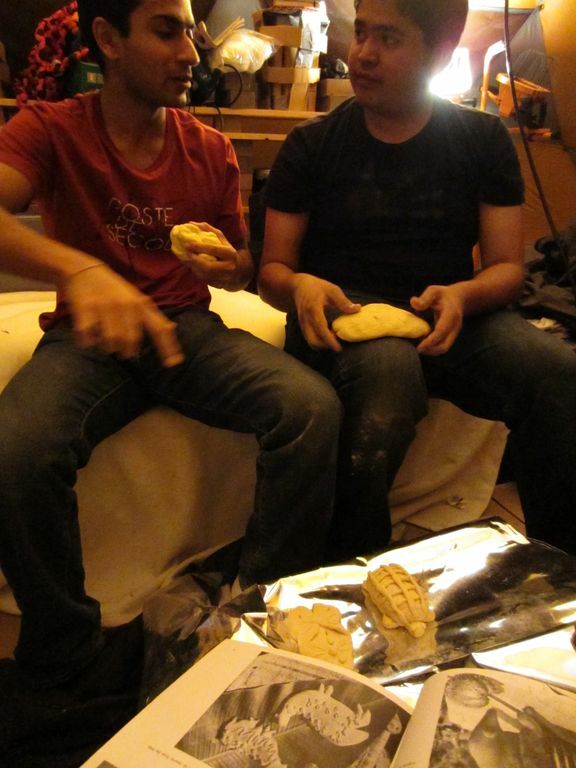 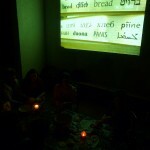 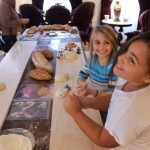 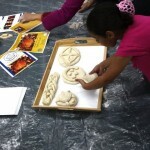 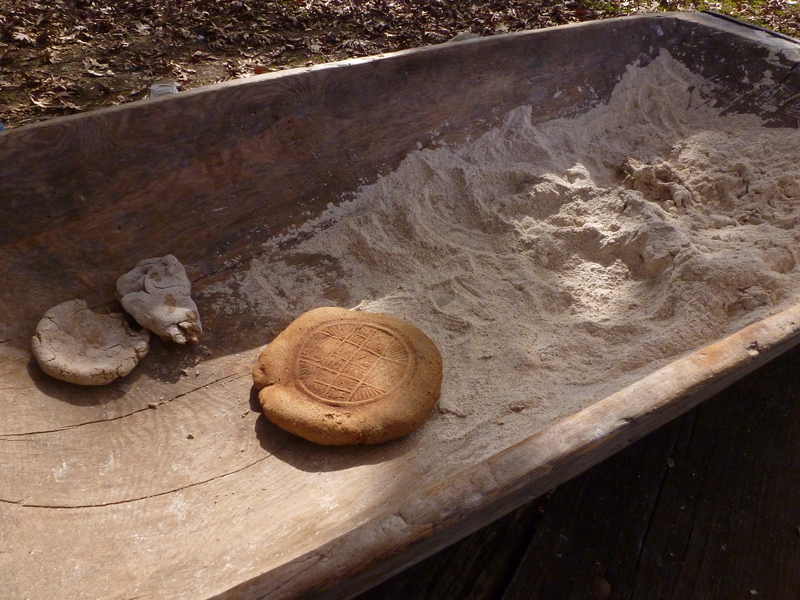 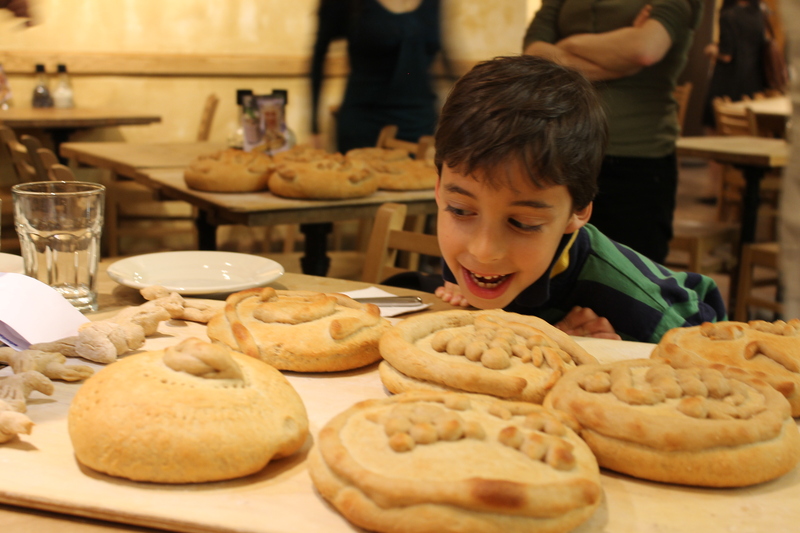 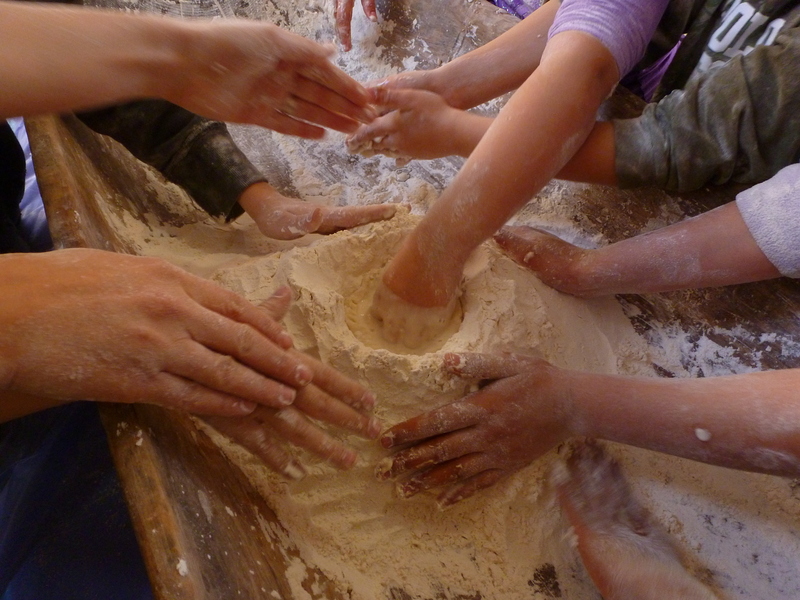 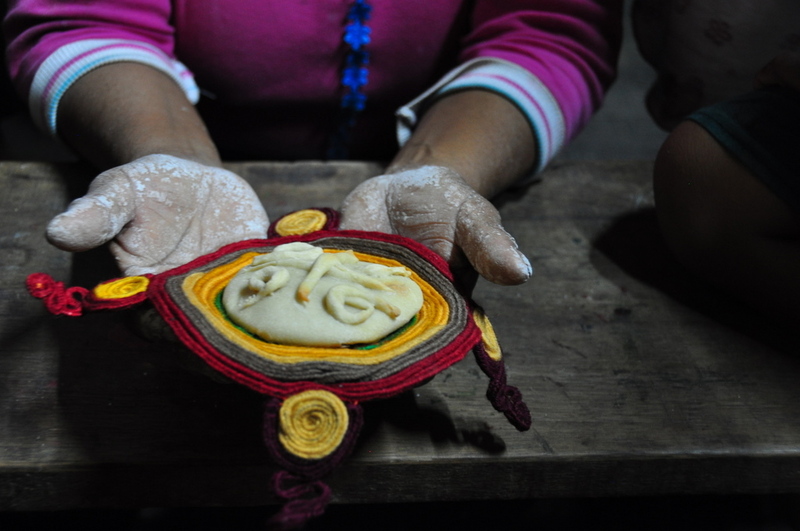 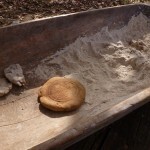 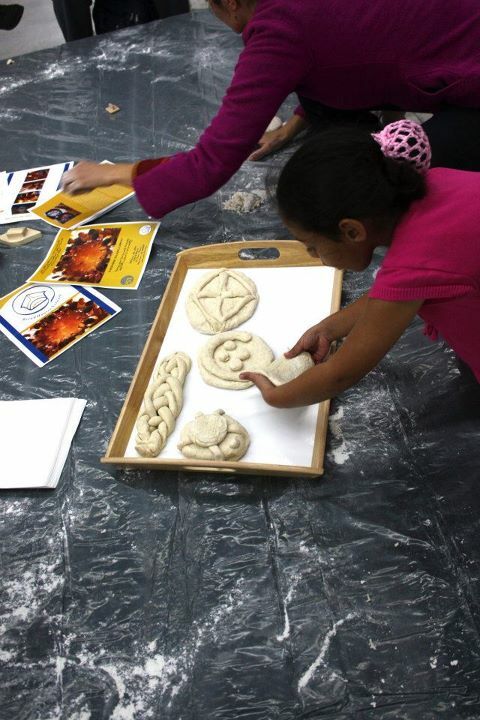 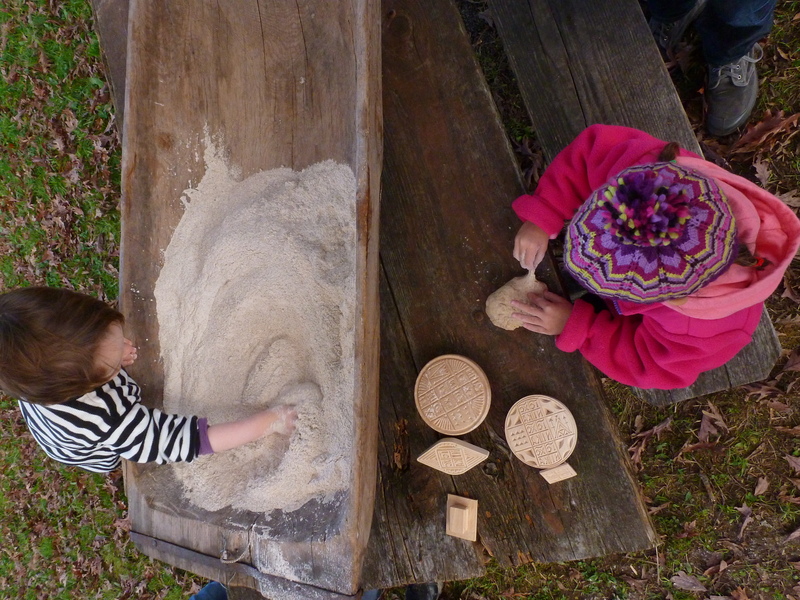 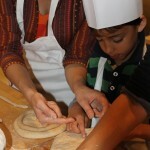 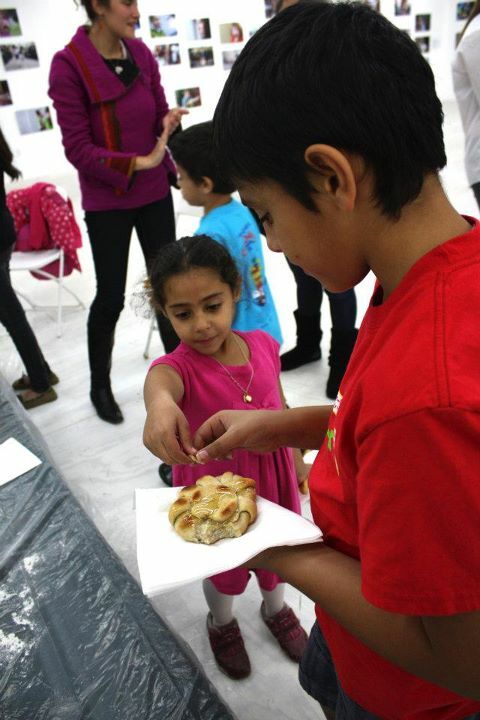 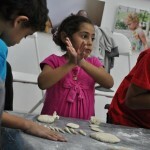 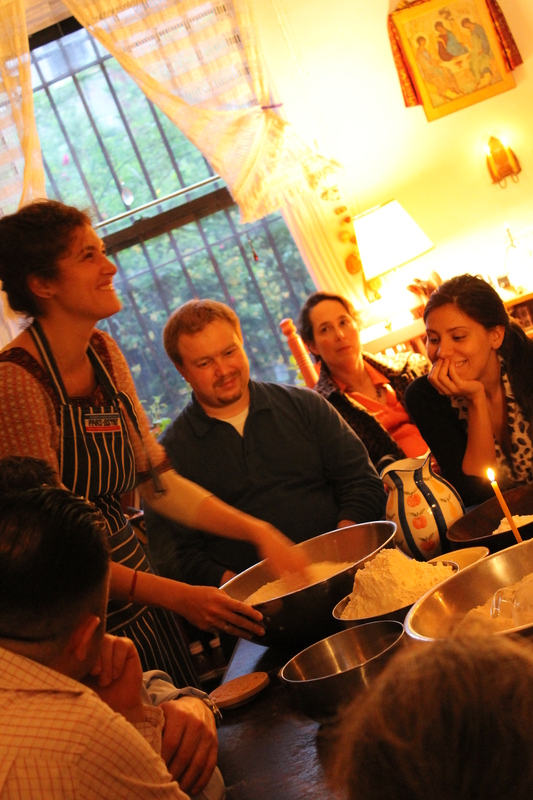 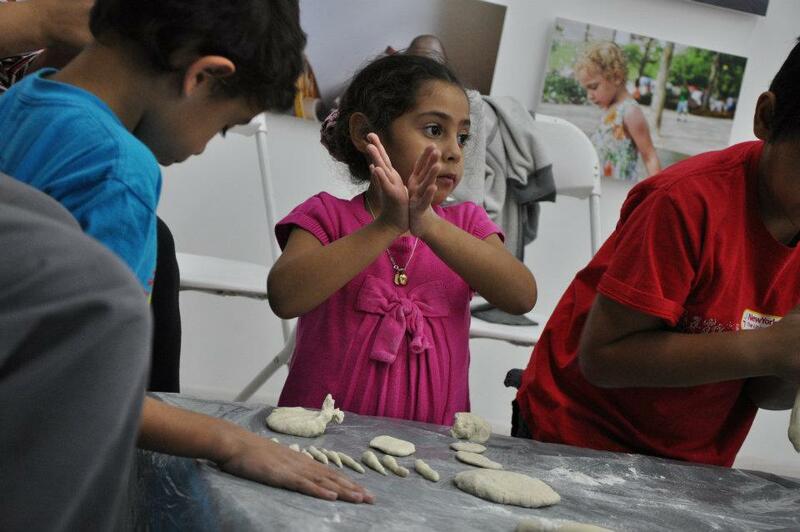 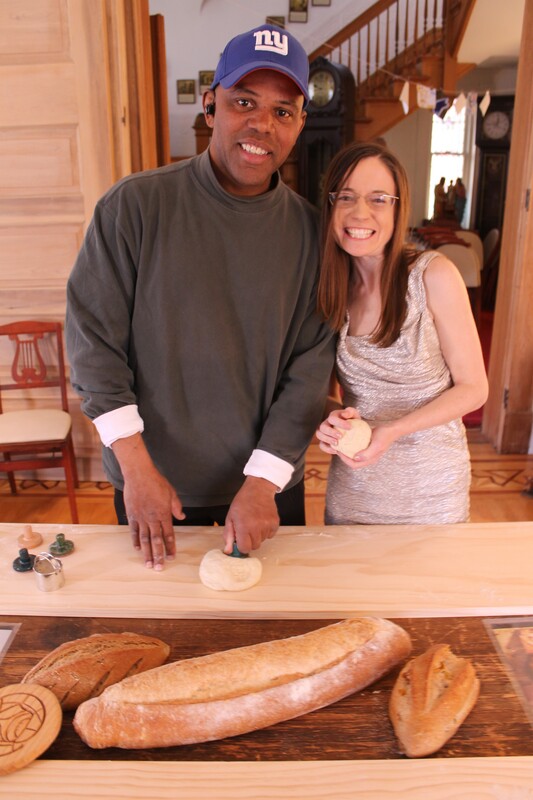 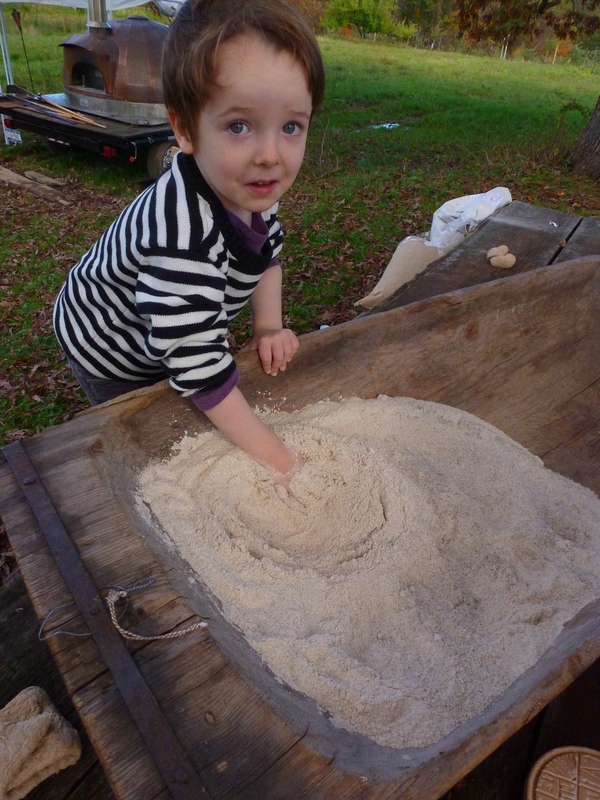 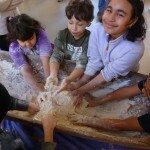 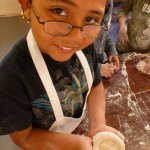 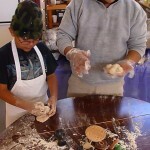 Make and learn through photos about the oldest unchanged sacred bread tradition in the world! 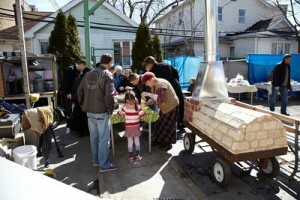 Nadezhda Savova and Julia Demaree, Director of the Emmaus House Orthodox Centerin Harlem, dedicated to serving the people in need, welcomed people of all ages and across Orthodox parishes around New York (the Bulgarian parish “St. 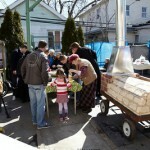 Cyril and Methodius”; the Serbian parish “St. Sava”, the Greek Orthodox Church of the Annunciation; the Mercy House Parish and St. Nicolas Russian Orthodox Parish; The Holy Trinity parish on Upper East Side; etc.) 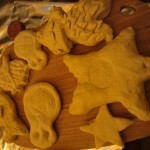 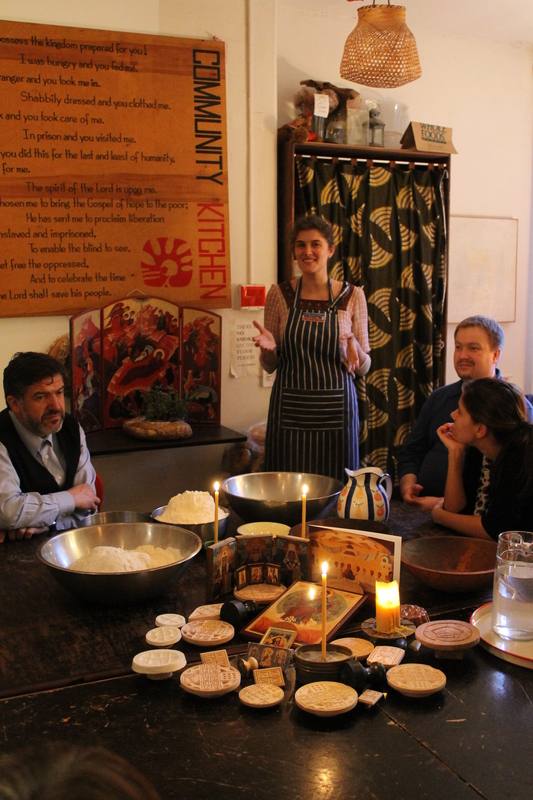 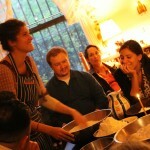 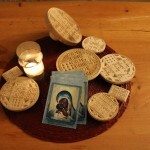 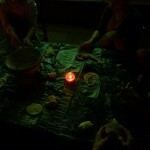 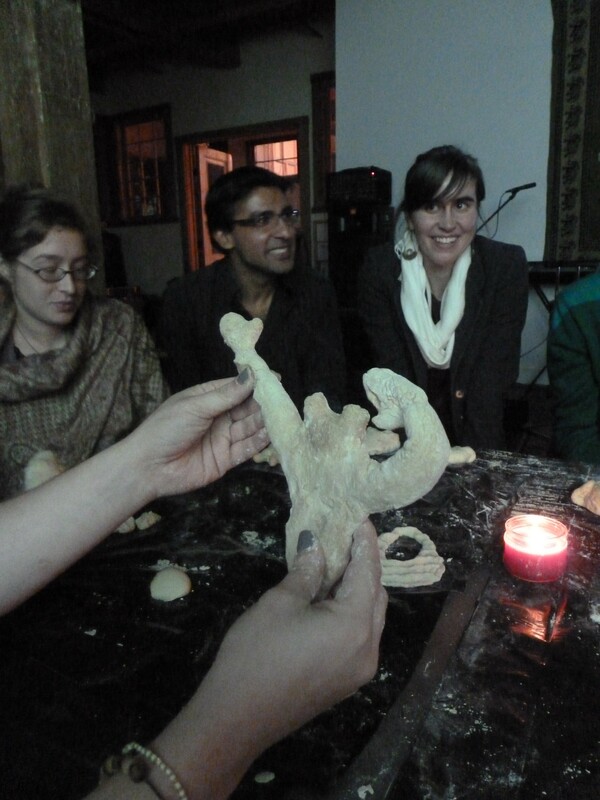 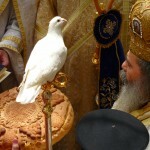 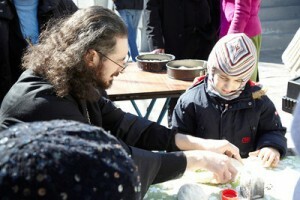 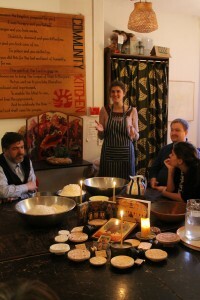 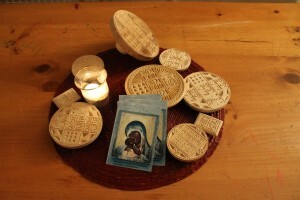 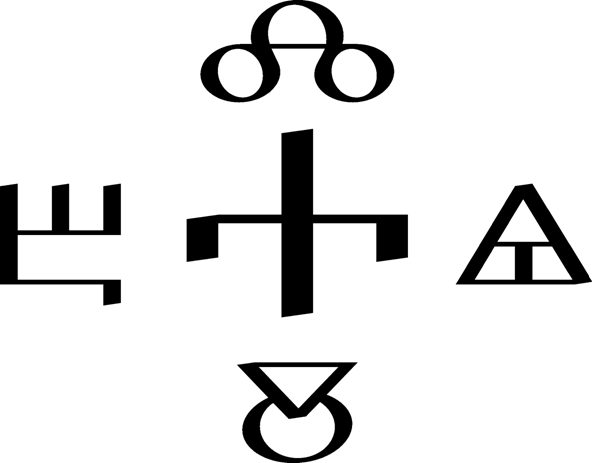 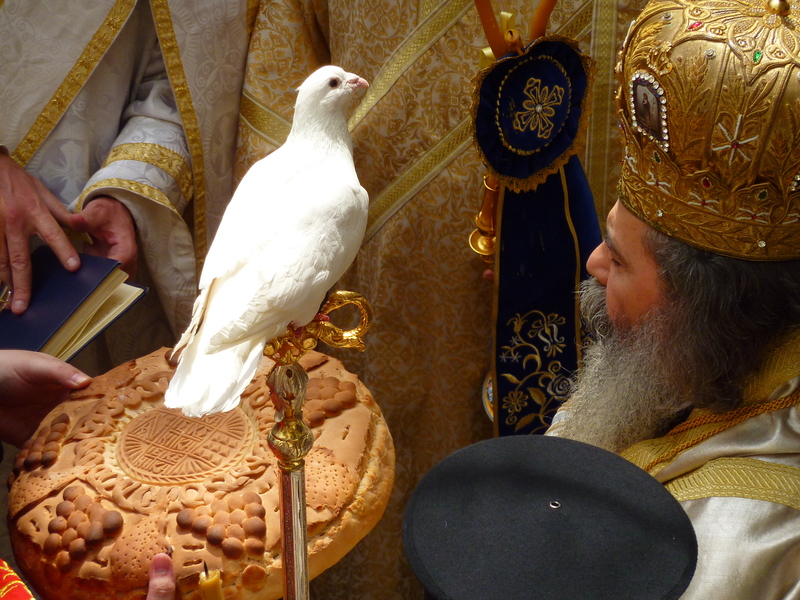 as well as people from other denominations who had with interest in Orthodoxy to convene in the ambiance of Orthodox chants and with stories about Orthodox breads from different cultures, to learn to make the traditional Eastern Orthodox prosphora as well as beautifully decorated Eastern European ritual breads. 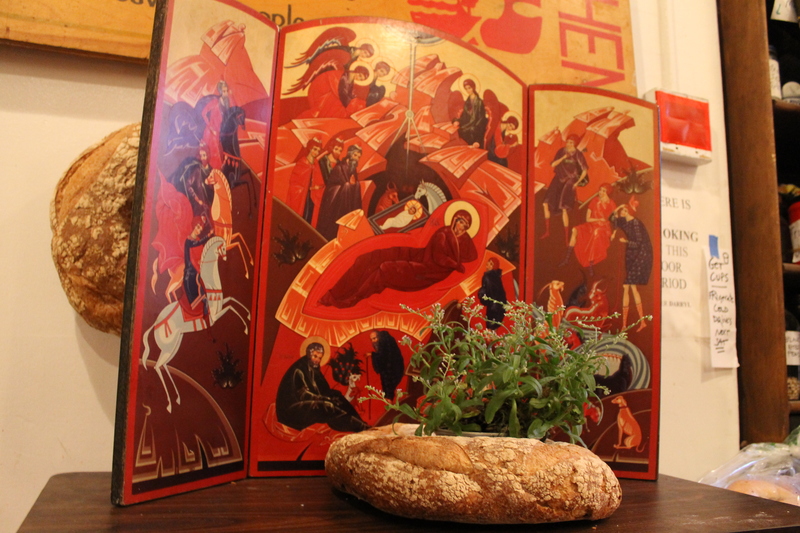 While we waited for the bread to rise, and then bake, we talked about various ways of making prosphora in the different traditions from Greece to Serbia and from Russia to Egypt, and Father Djokan from the Serbian Orthodox Church St. Sava in Manhattan gave wonderful insights into what is the Orthodox Eucharistic vision of the world. 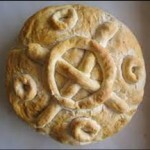 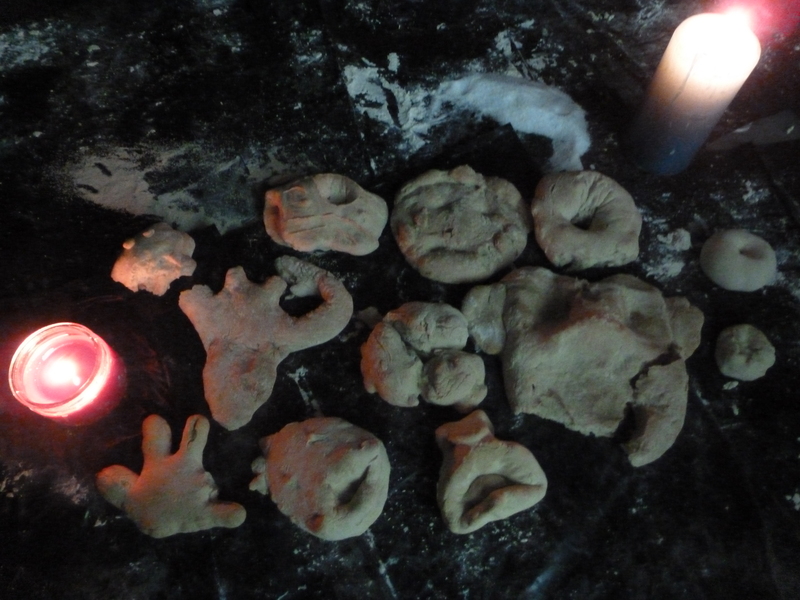 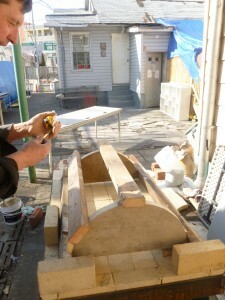 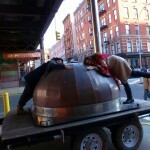 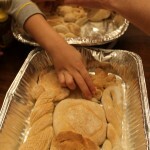 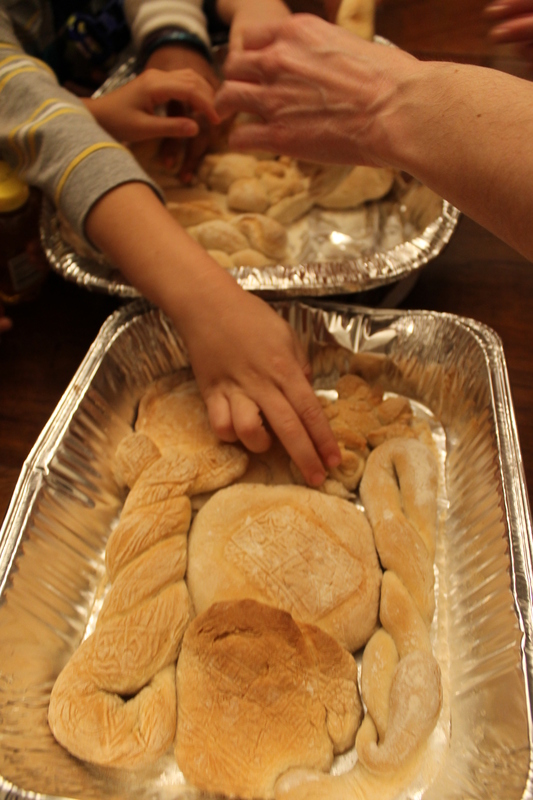 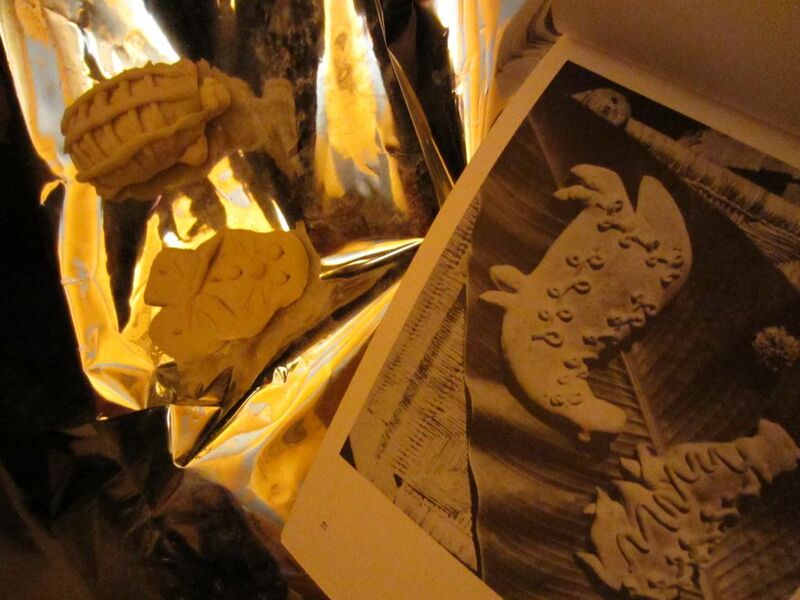 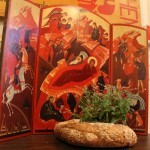 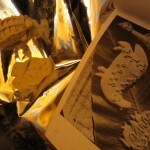 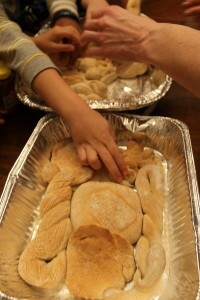 Some of the baked prosphora were taken to be brought forward for Sunday’s Divine Liturgy, thus symbolically uniting parishes across New York through the bread we will all have made together and that we will ultimately all share spiritually by becoming parts of the one Divine body in the breaking and partaking of the Eucharistic bread regardless of distance and place. 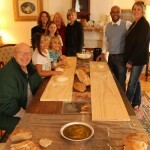 It was a beautiful opportunity for sharing one table making one bread across ethnic and national lines but in one spirit. 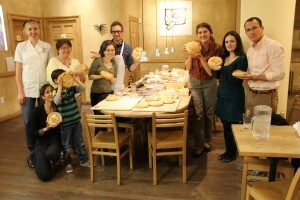 Trinity Church at Princeton, recently featuring Bon Jovi’s Community Charity Restaurant (www.jbjsoulkitchen.org), invited Nadezhda Savova to give a talk about the journeys around the world that made the Bread Houses Network grow and keep growing, as Nadezhda also make bread with children and adults from the community from a variety of countries, from Guinea to India and Sweden. 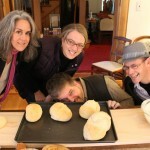 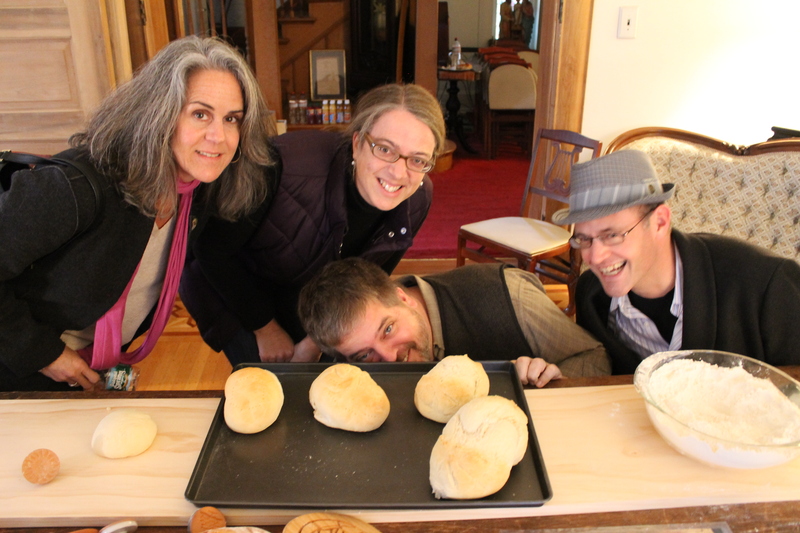 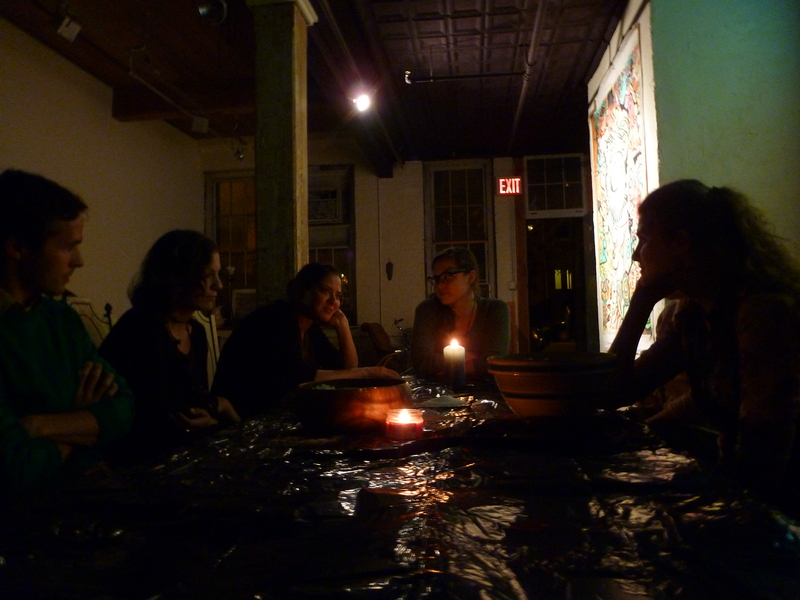 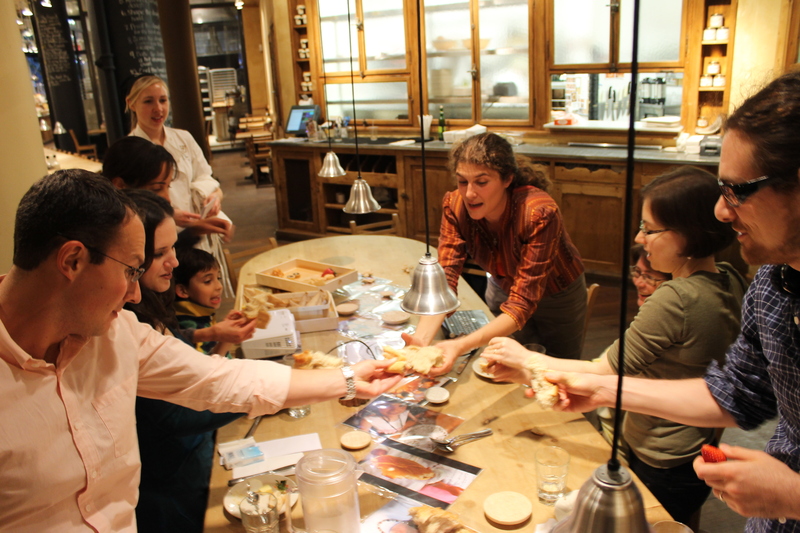 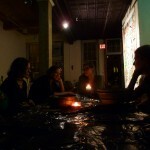 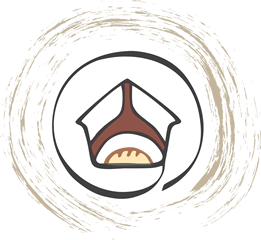 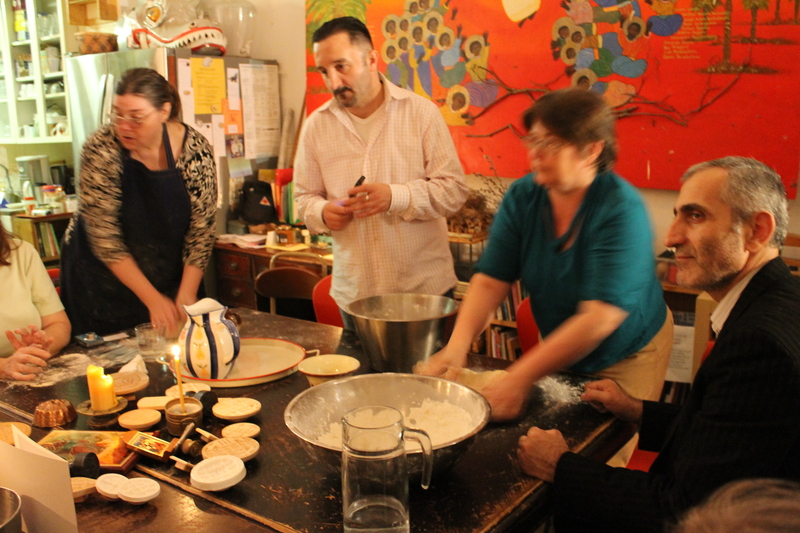 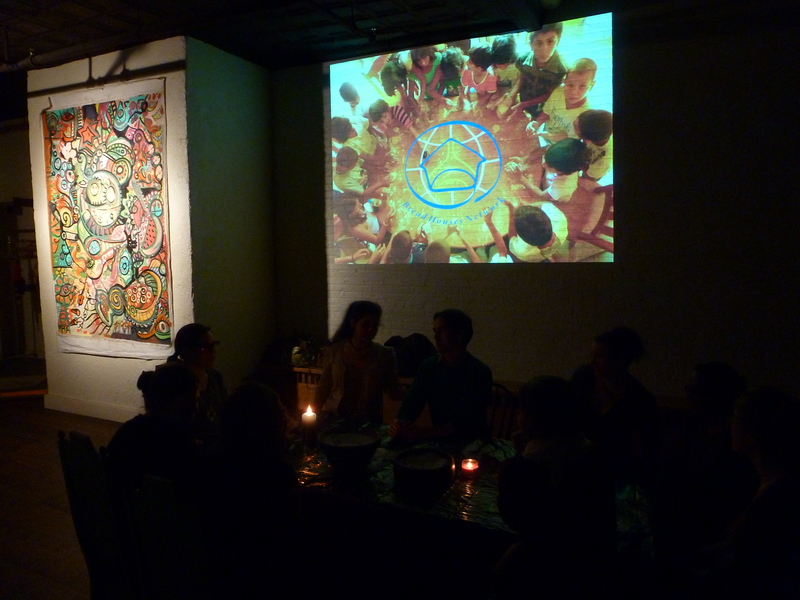 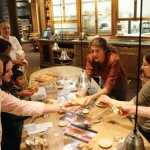 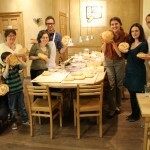 The unity around one table making one loaf that has always been the mission of the Bread Houses Network matched beautifully the vision of the One Table Cafe to host communal suppers once a month for people of all walks of life in the Princeton area. 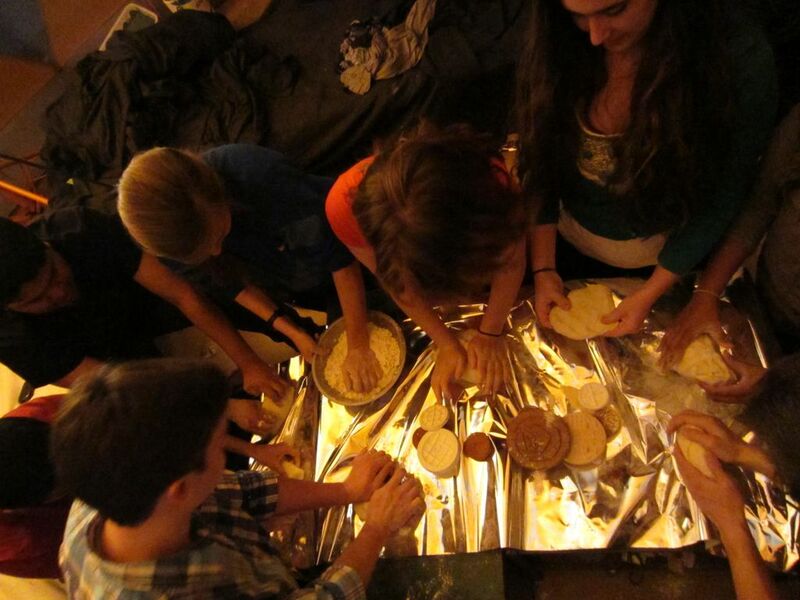 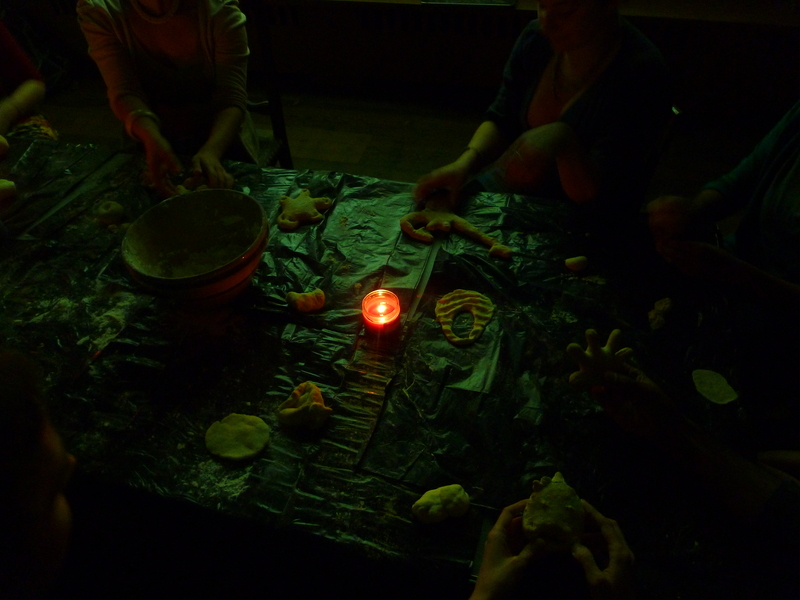 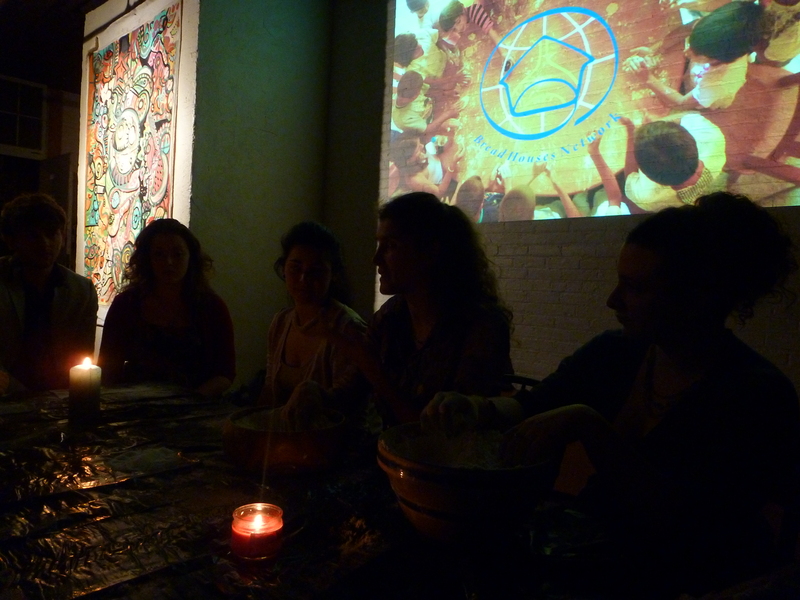 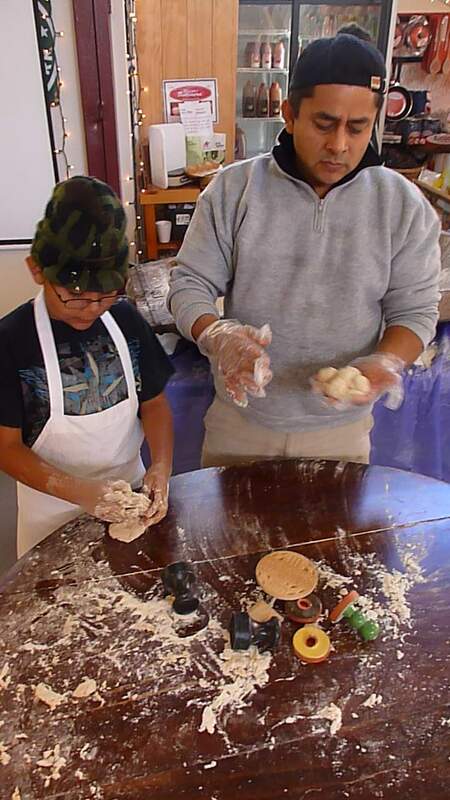 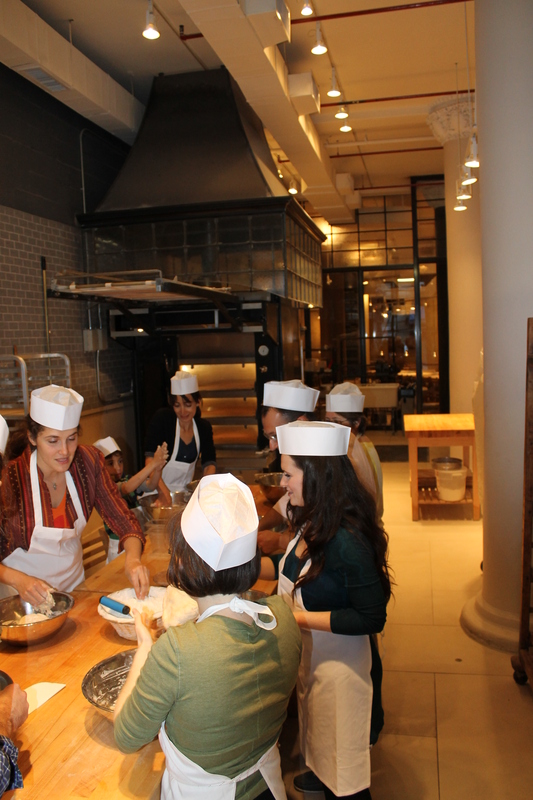 While making Peruvian potato breads and Mexican corn breads (tortillas), students discussed the sense-based and art-inspired community development projects initiated by Nadezhda. 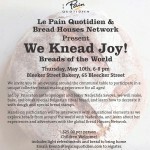 Nadezhda narrated about her experiences researching community arts and foods (in particular bread) as tools for social development part of a network of 12 community cultural centers called Bread Houses (www.breadhousesnetwork.org) she started and coordinates from Peru to Brazil, and from Bulgaria to South Africa. 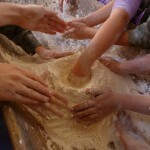 In the tradition of the “Bread and Kitchen Music” method developed by the Bread Houses Network in partnership with MIMA, this event will mix the rhythms of kneading with the rhythms of dancing in couples, exploring metaphors and experiences of joining opposites in bread and dance as much as in friendship and love. 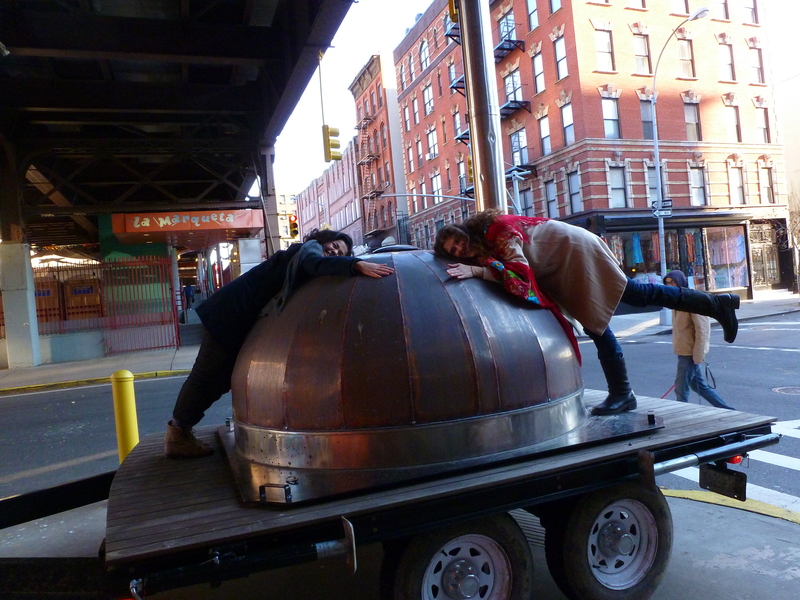 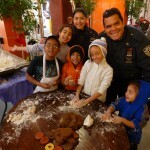 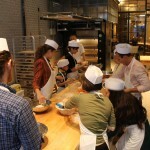 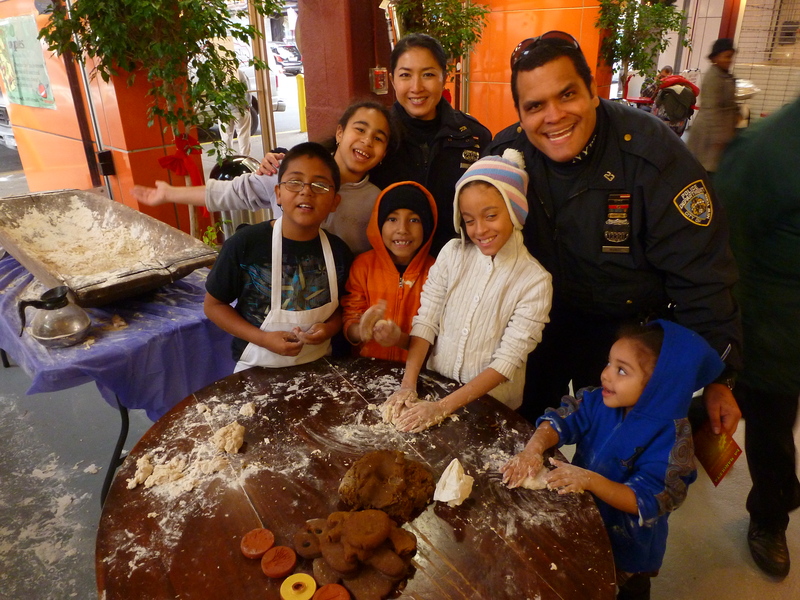 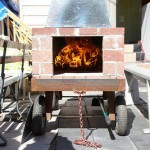 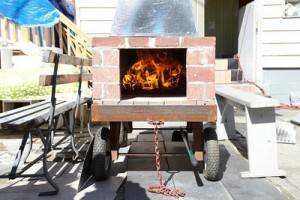 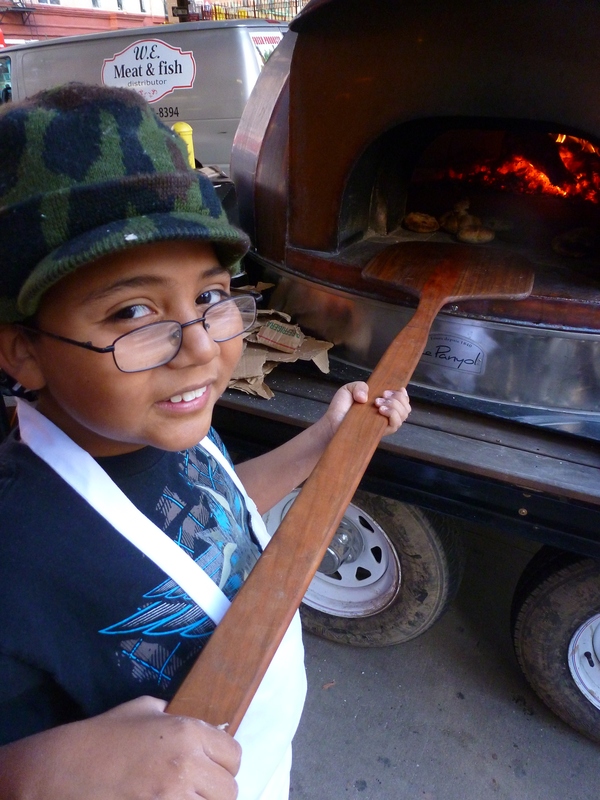 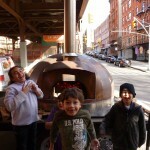 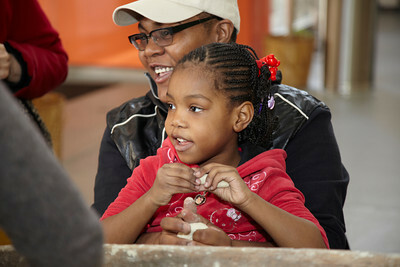 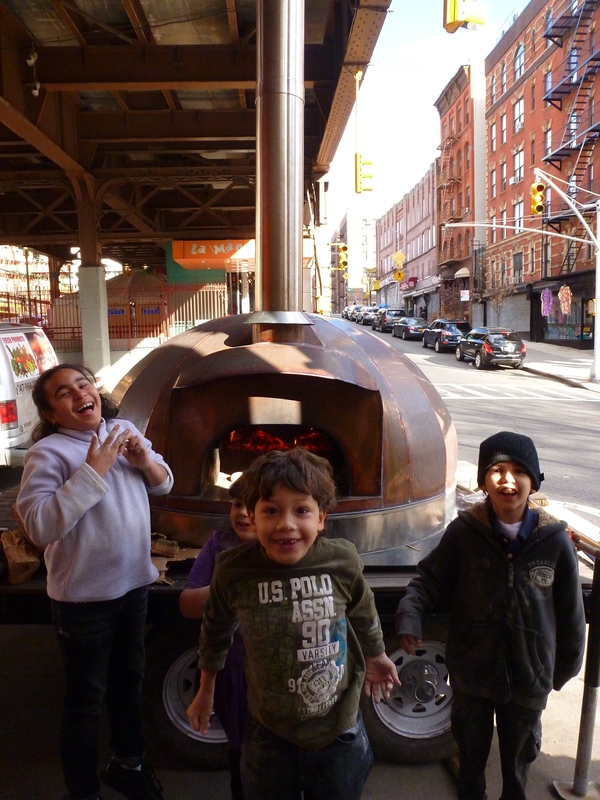 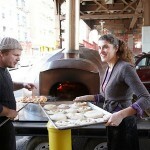 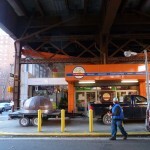 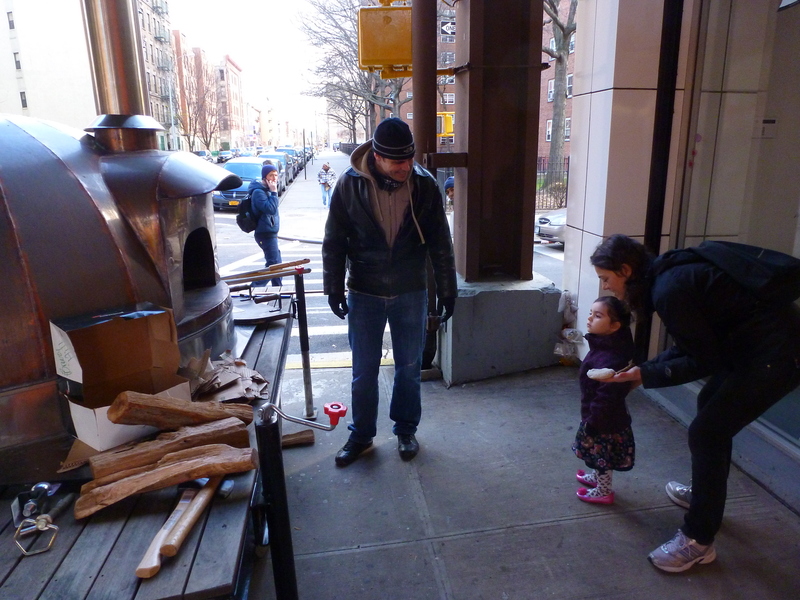 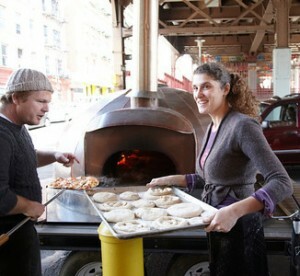 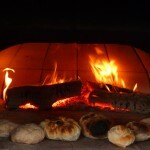 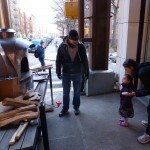 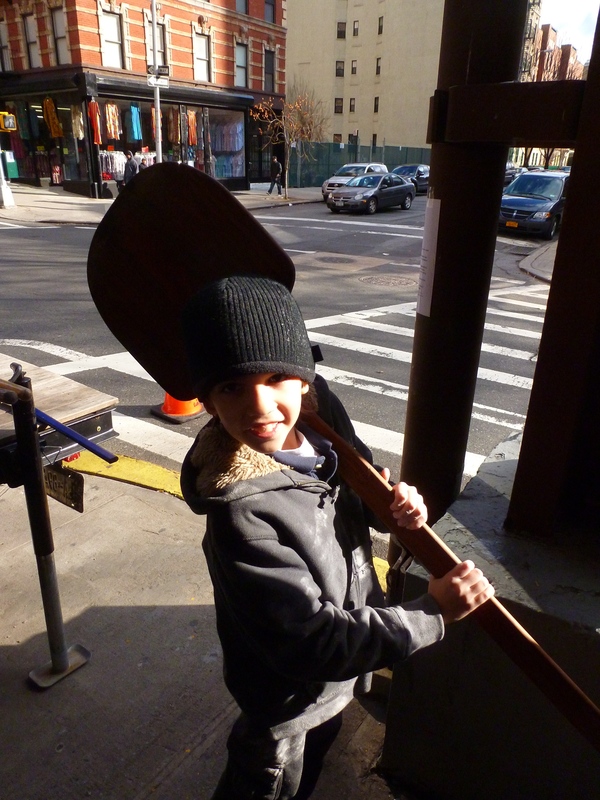 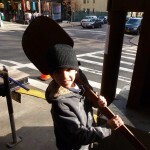 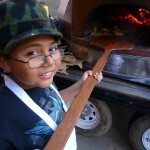 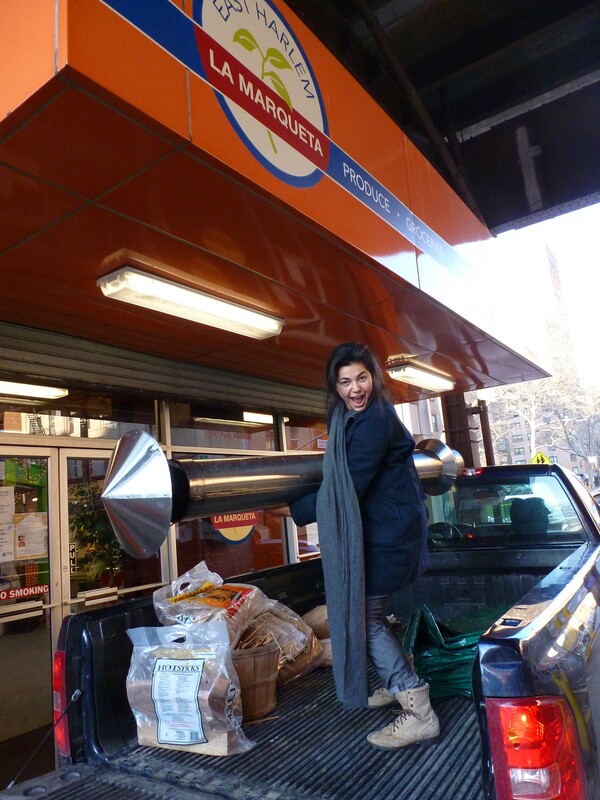 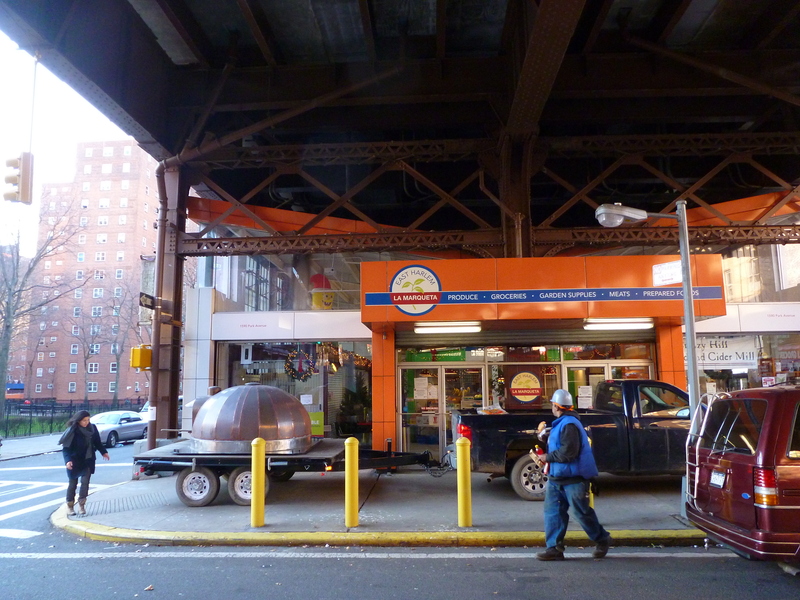 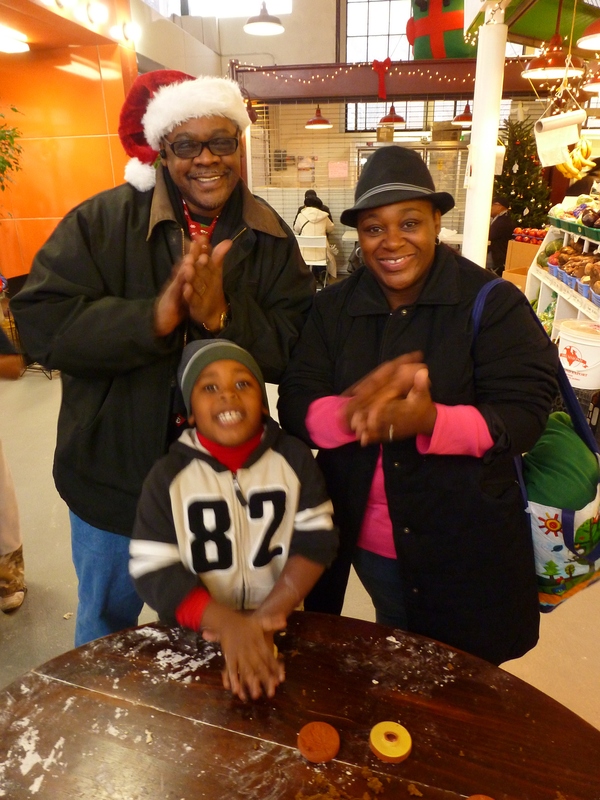 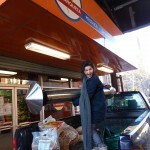 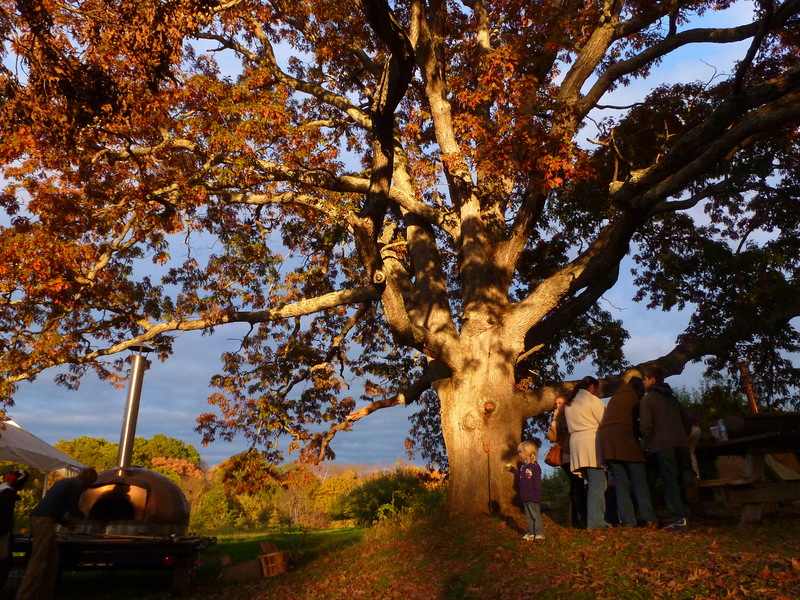 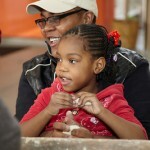 Children and adults from various ages and ethnic backgrounds from Harlem and beyond can once again around the mobile wood-fired oven at Breezy Hill Orchard’s location and NY Bread House Hub at La Marqueta in Harlem. 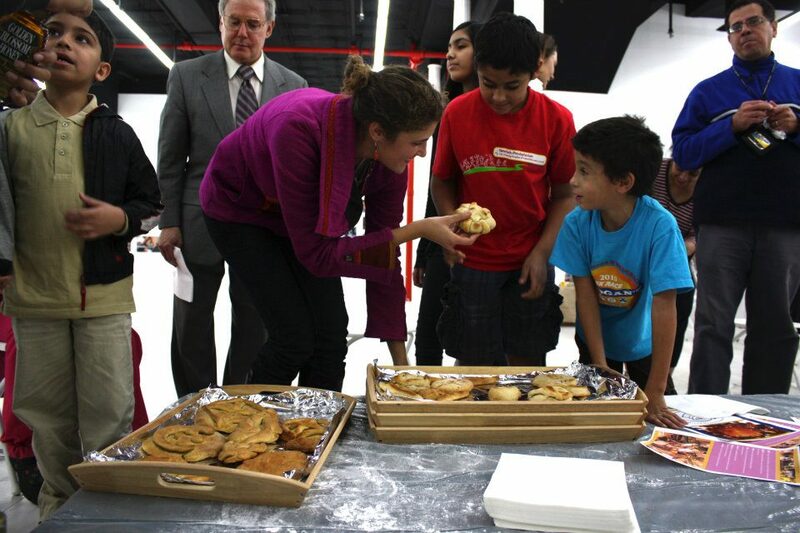 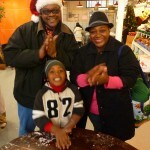 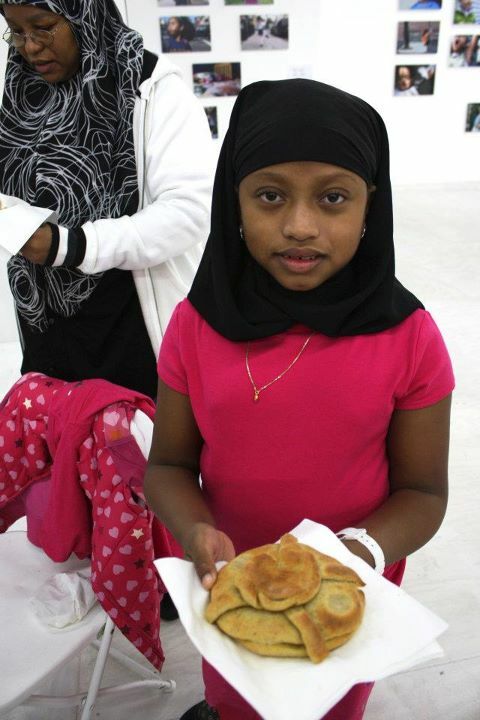 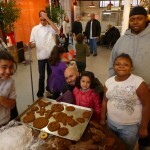 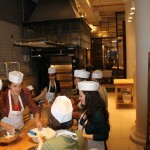 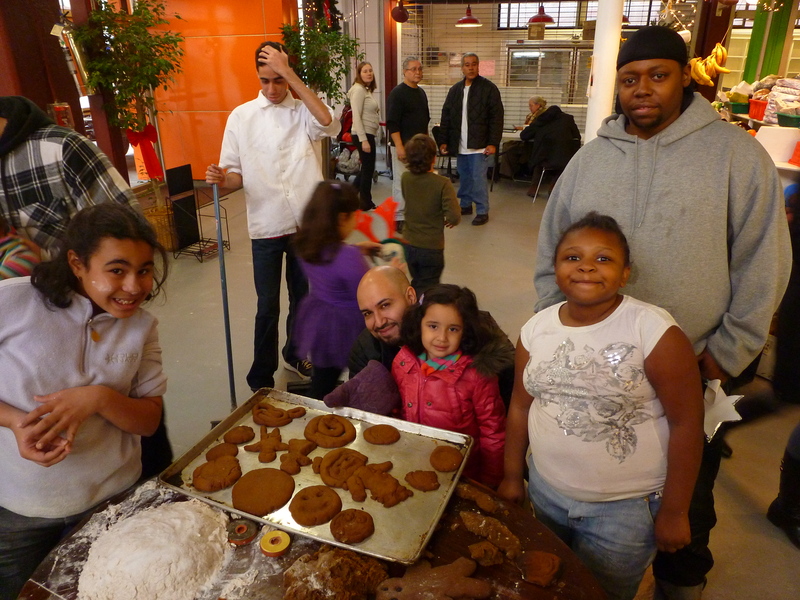 We all celebrated our Easter breads collective event following after our amazing turnout and excitement during the Christmas breads event in December 2011 when the Harlem Bread House Program was born as a nutritional education program in one of the largest “food deserts” in the United States! Already, we have had success in getting a few families excited about starting to make their own bread and children talk about making their own fresh food!